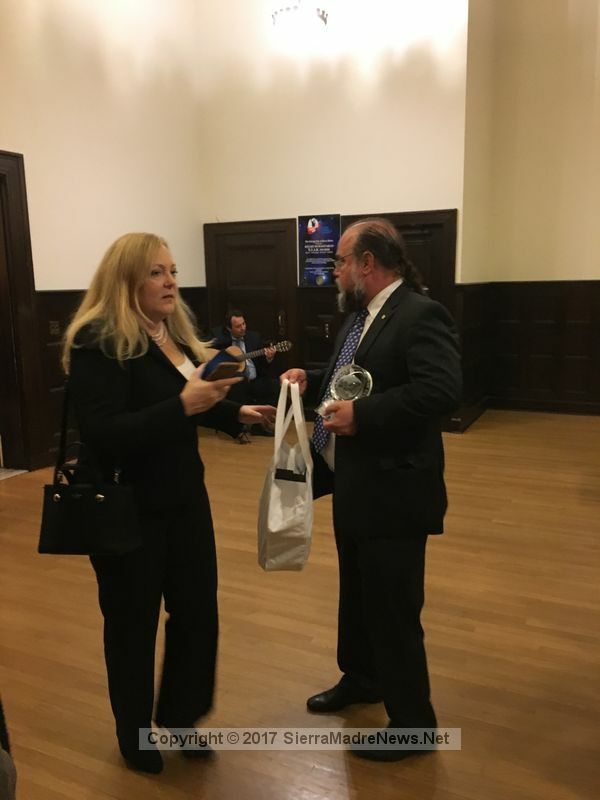 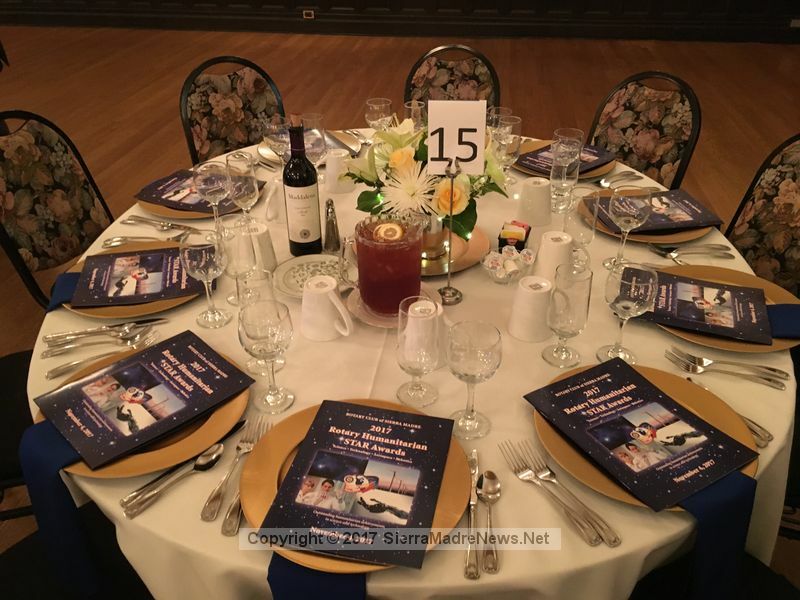 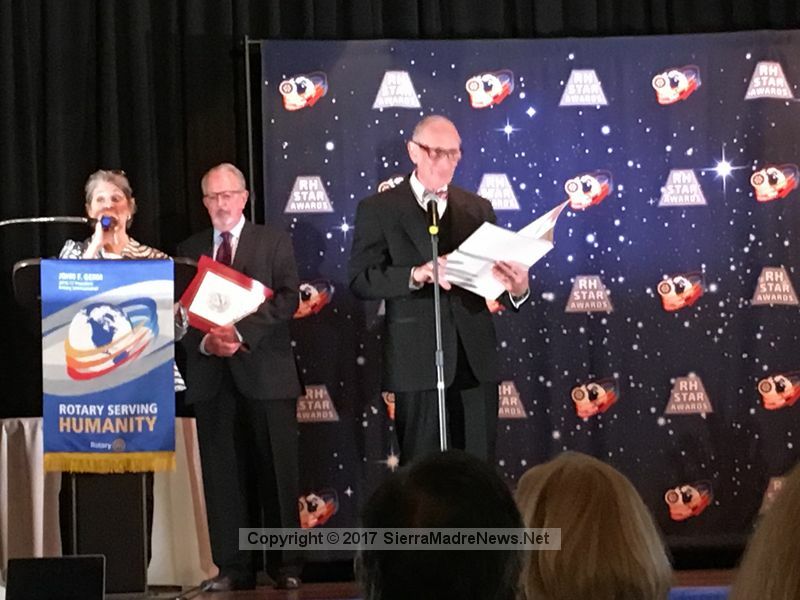 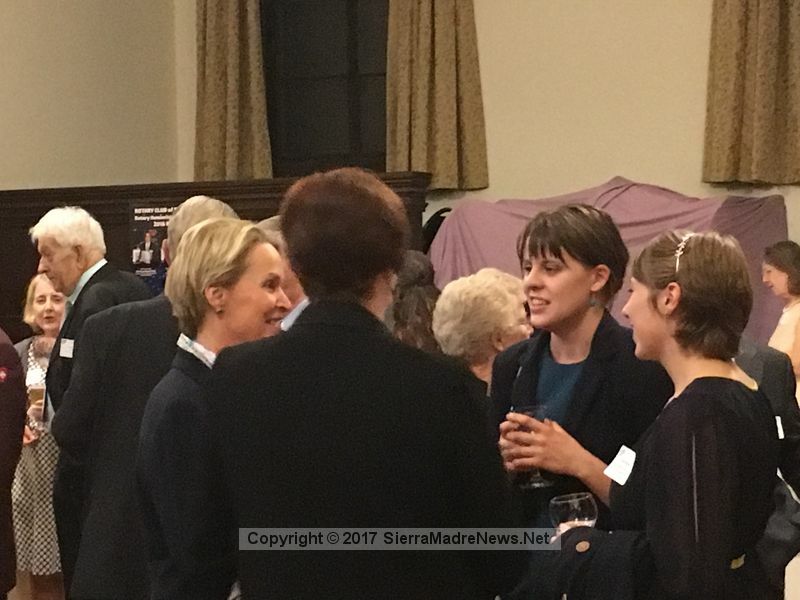 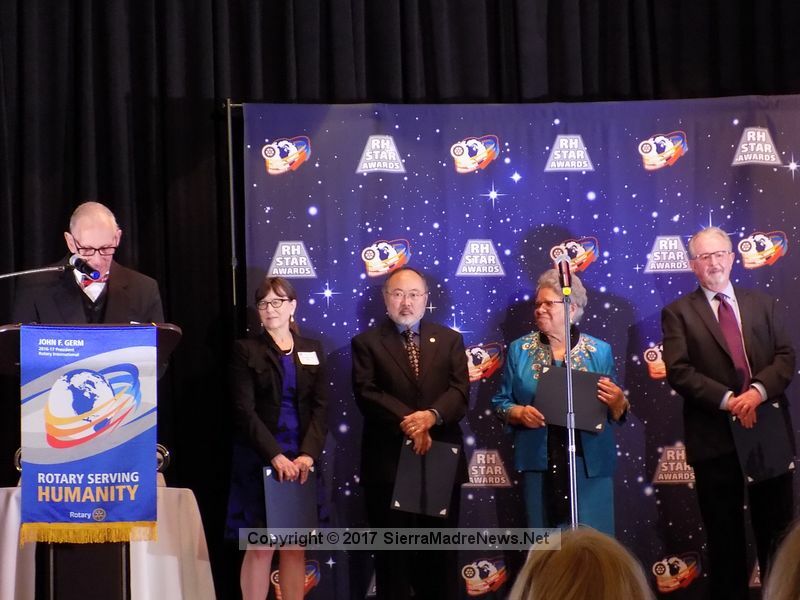 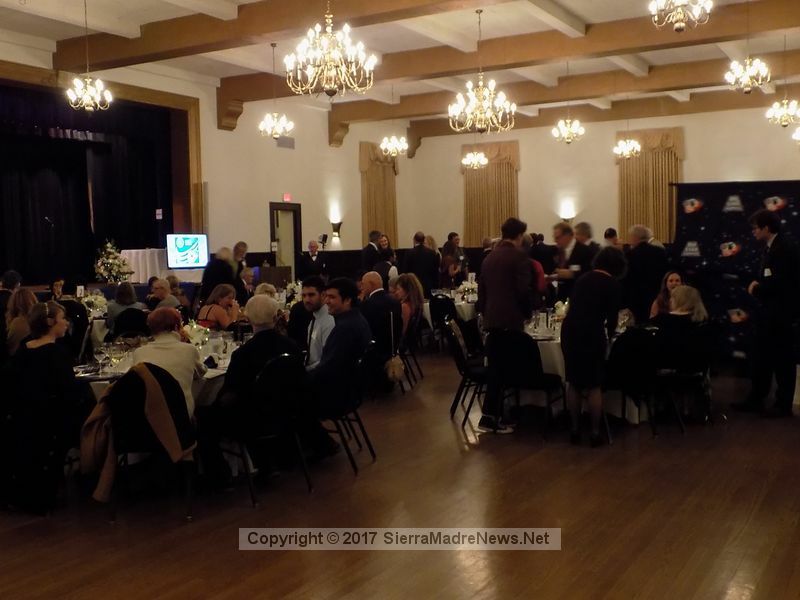 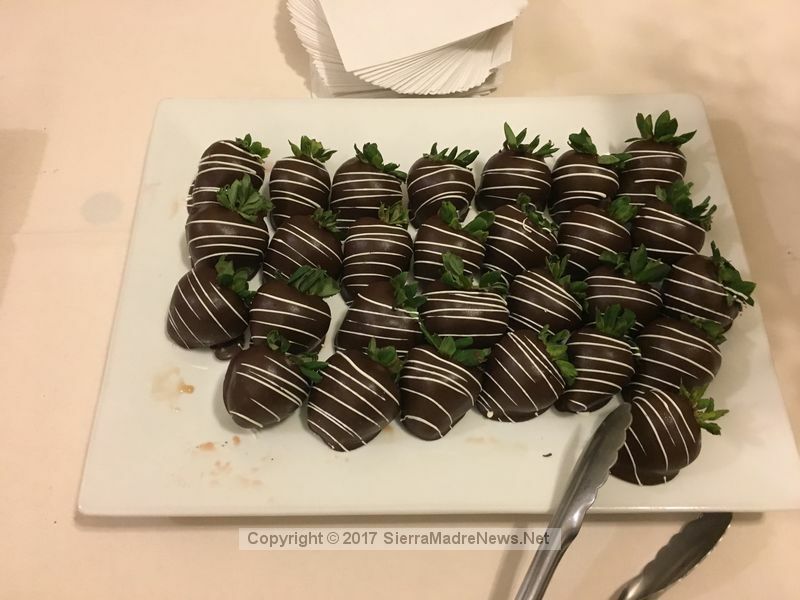 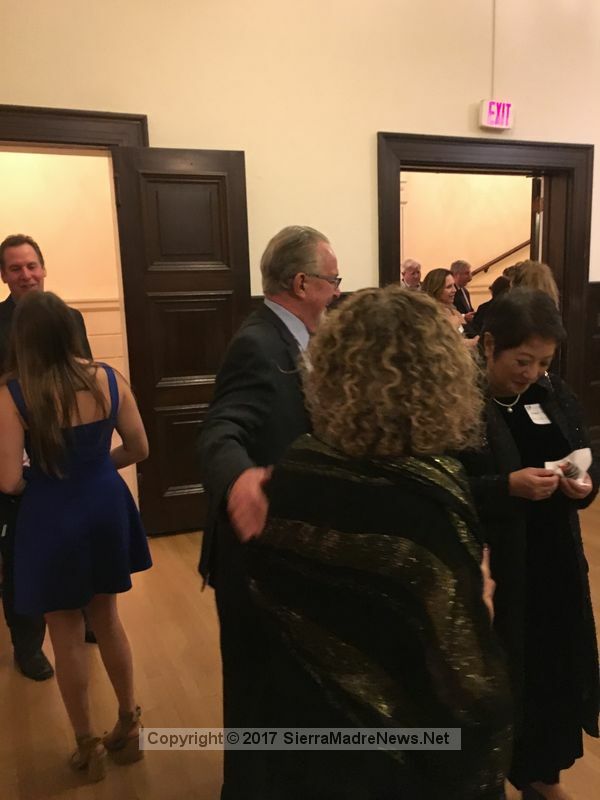 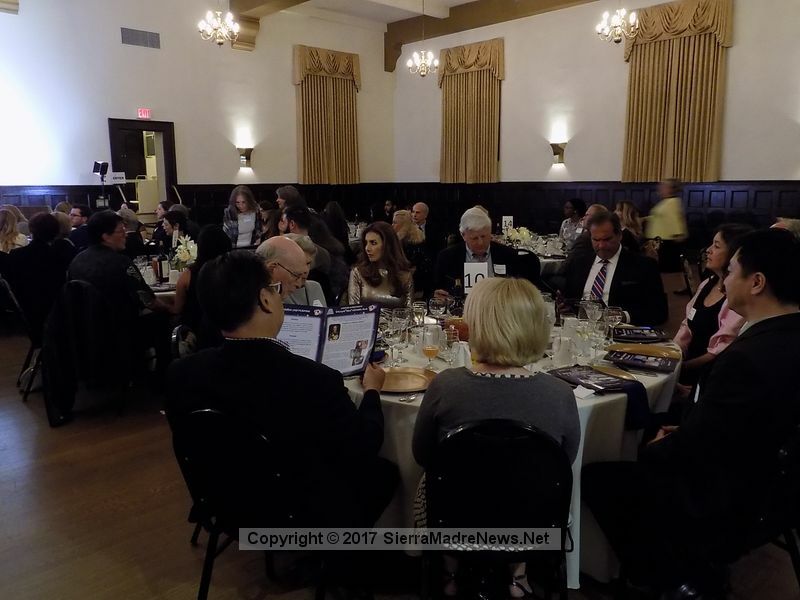 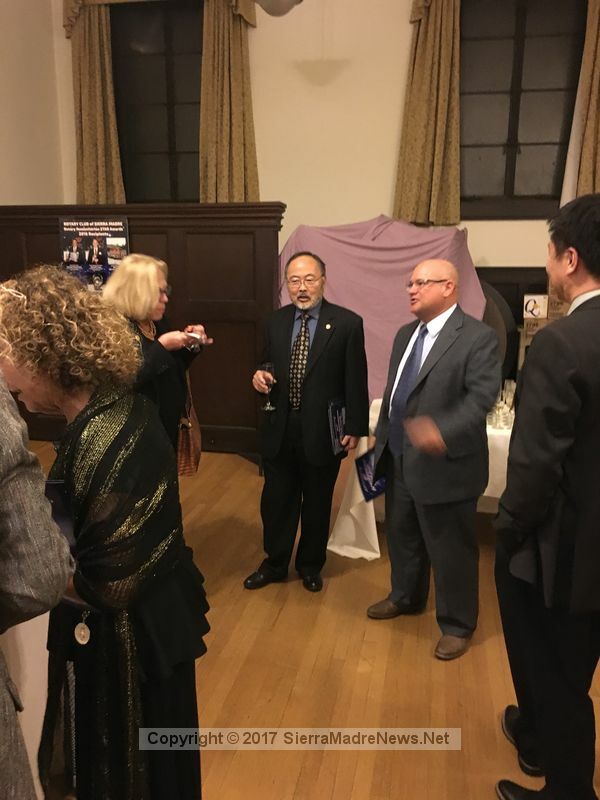 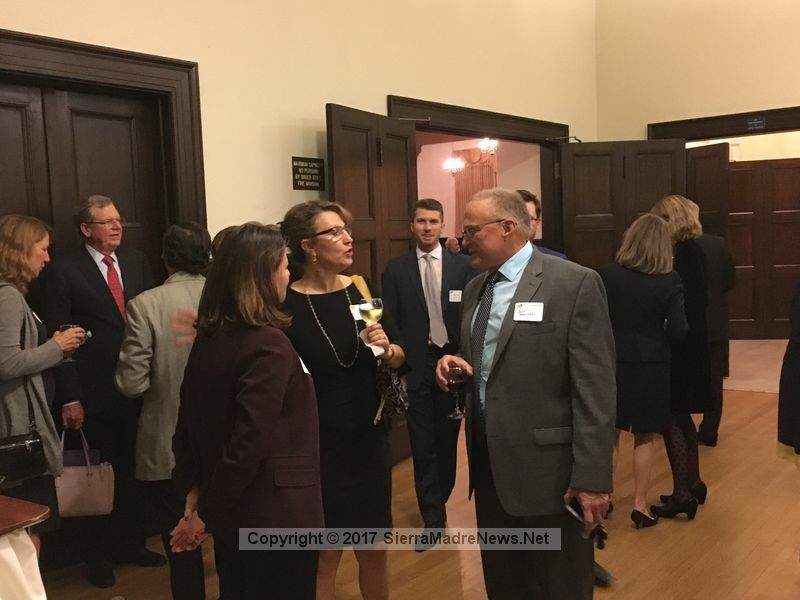 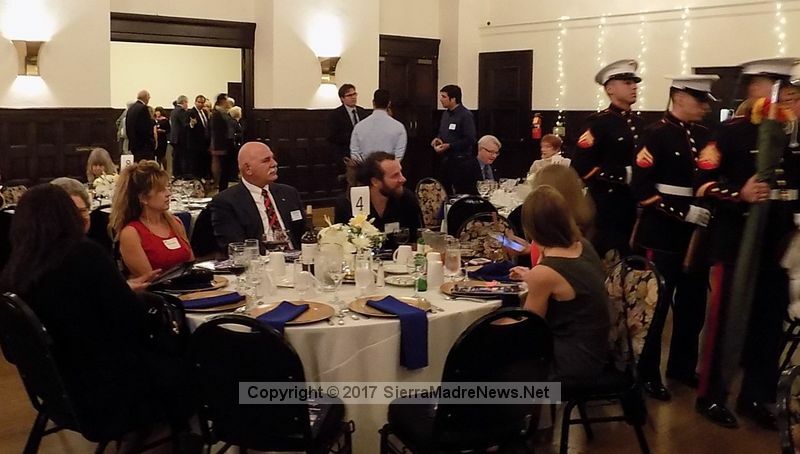 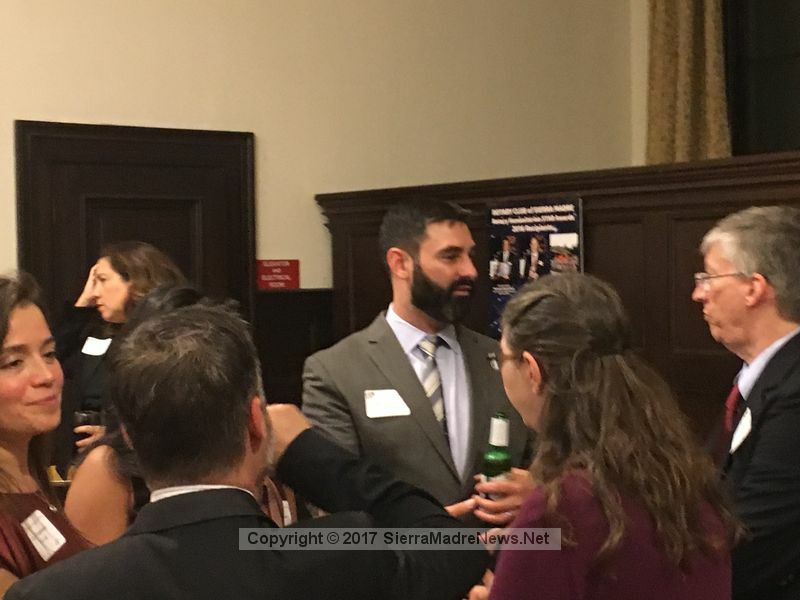 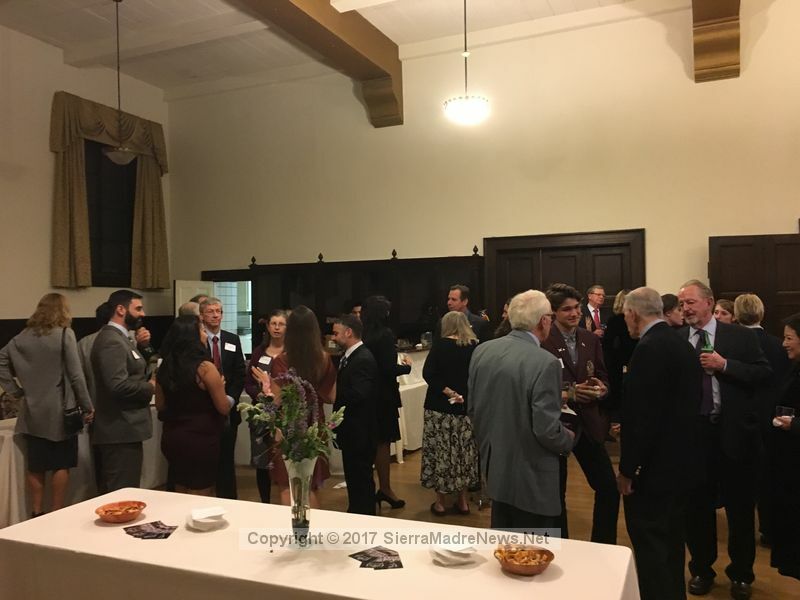 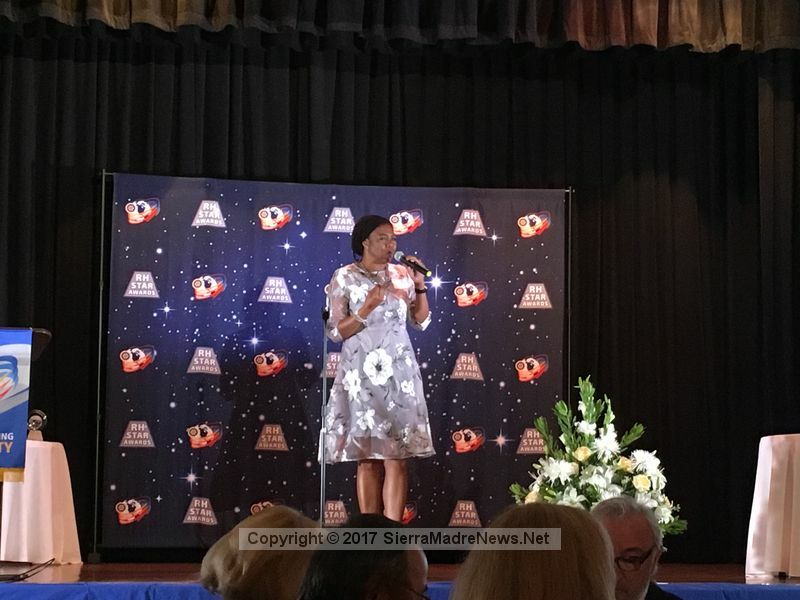 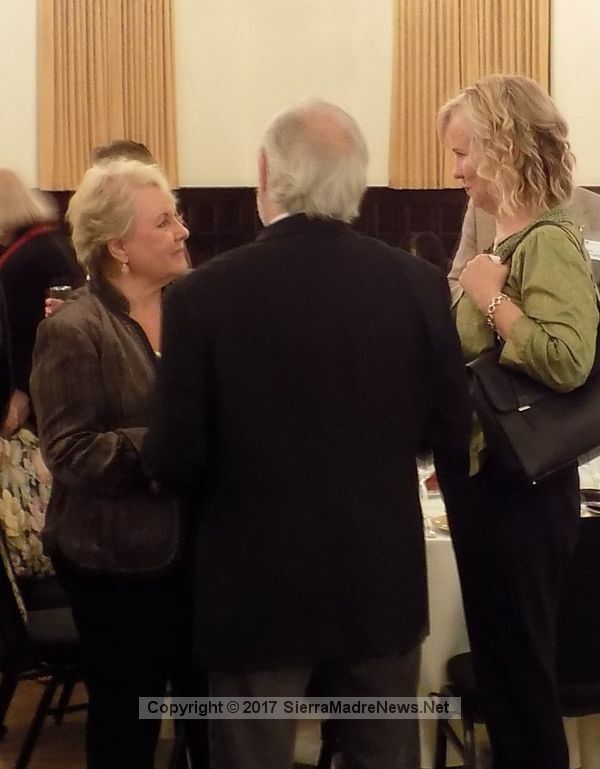 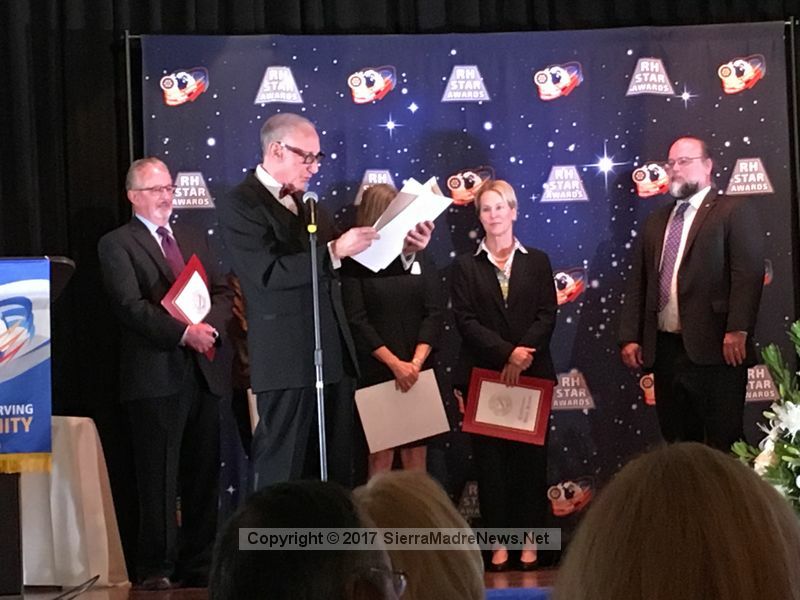 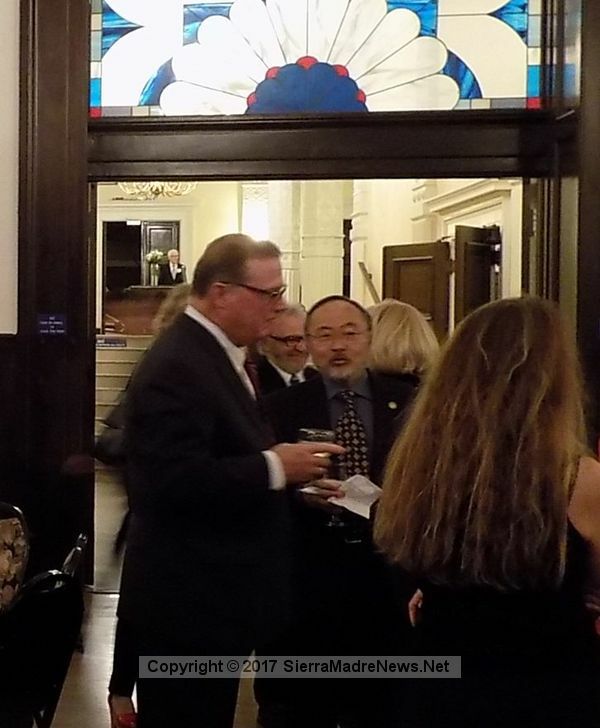 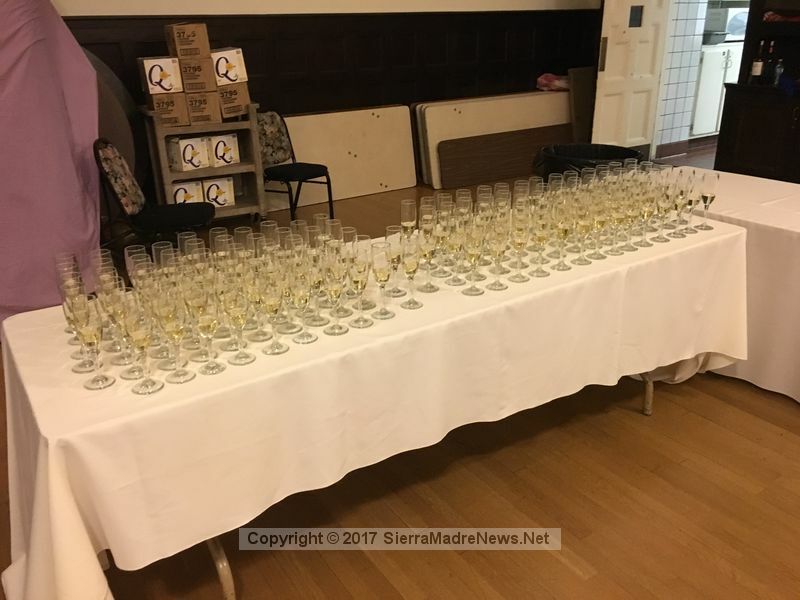 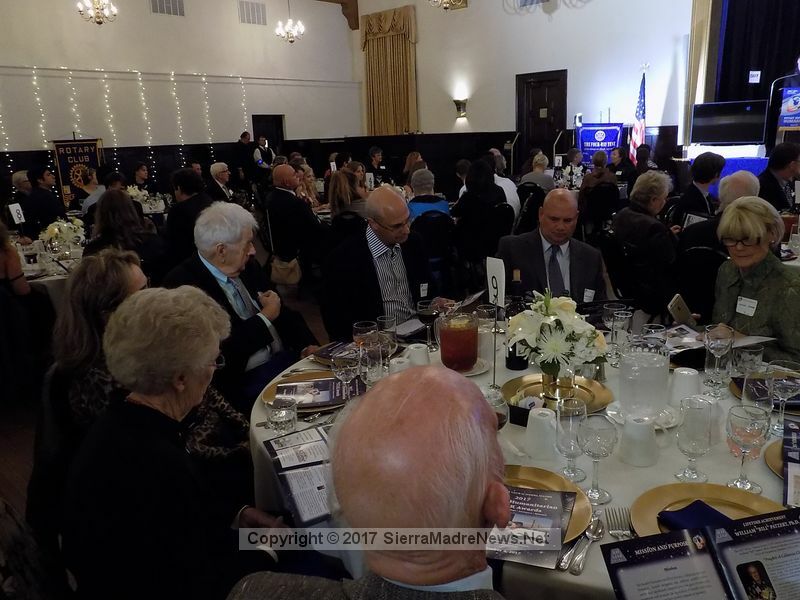 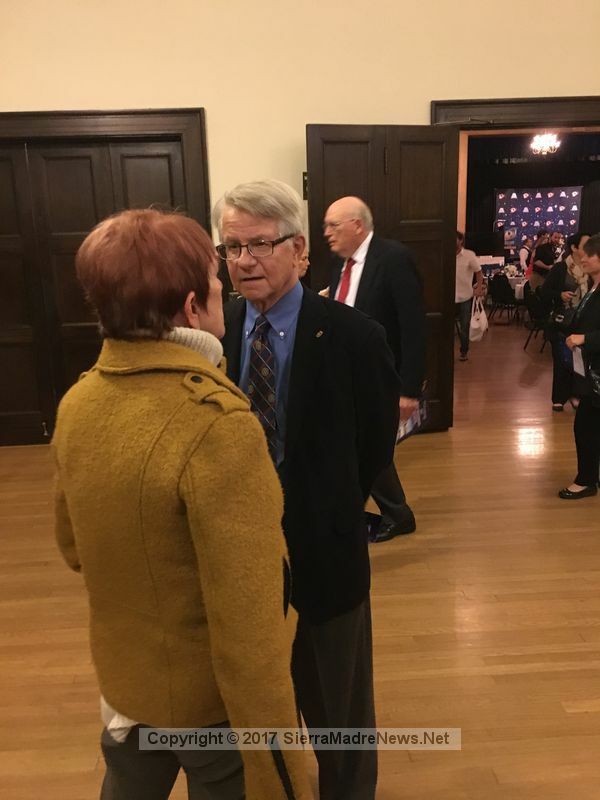 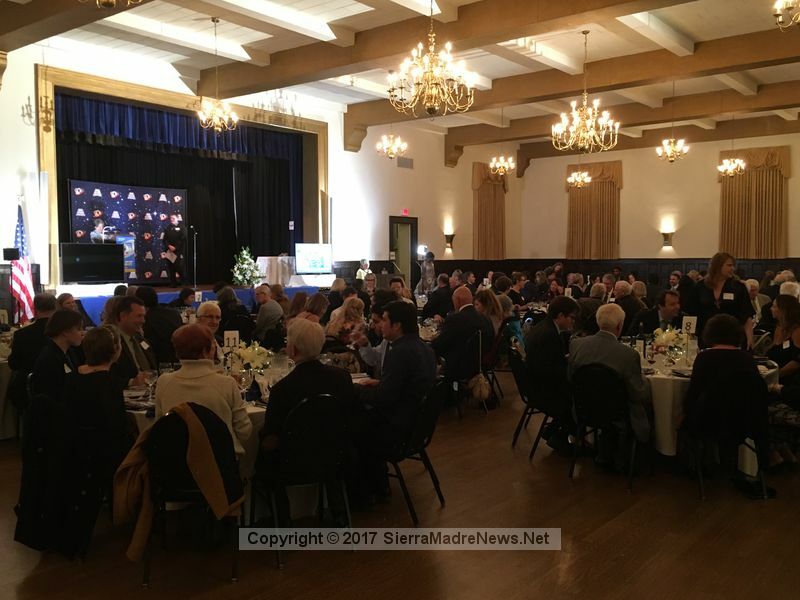 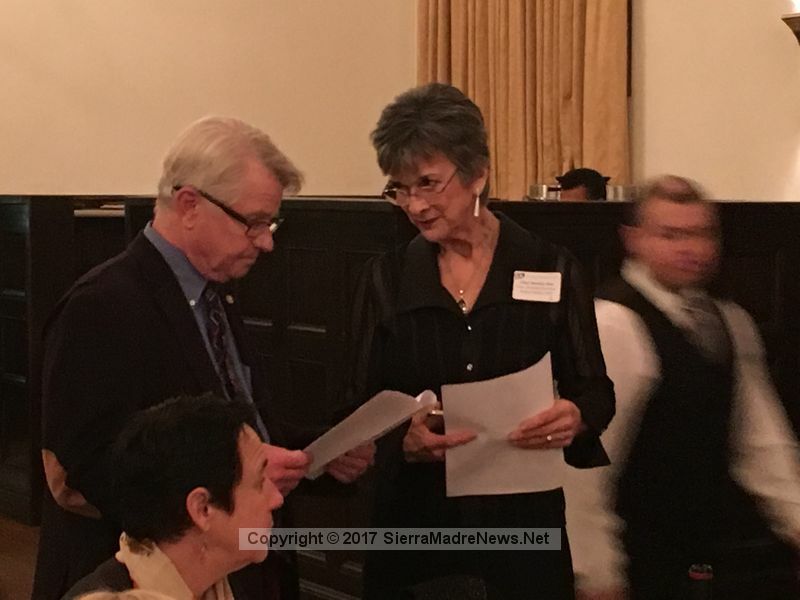 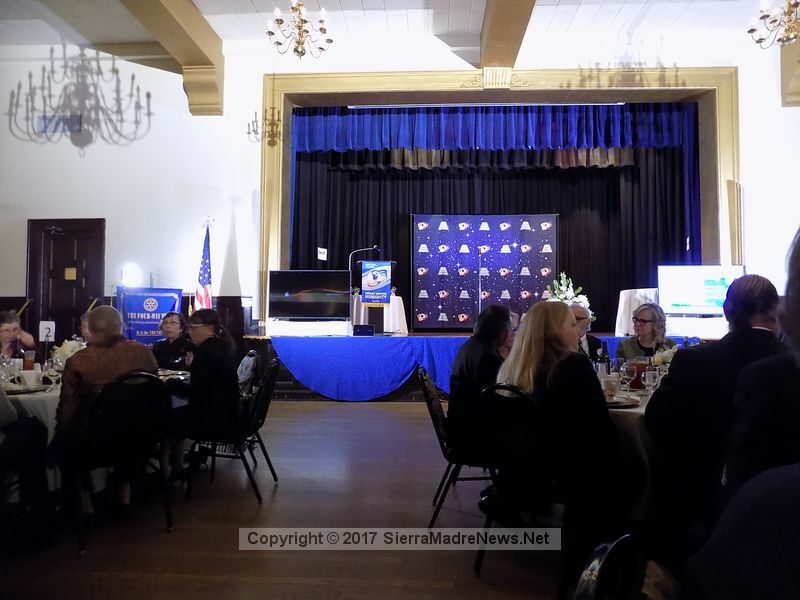 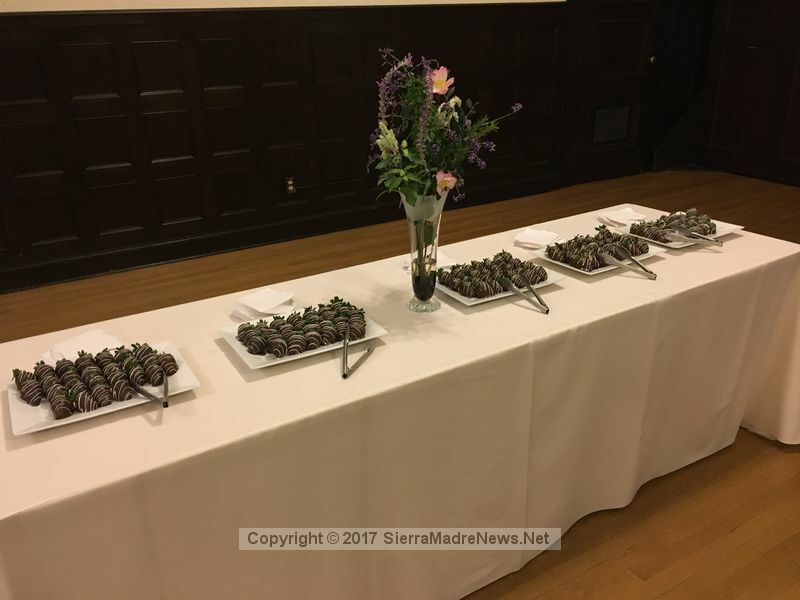 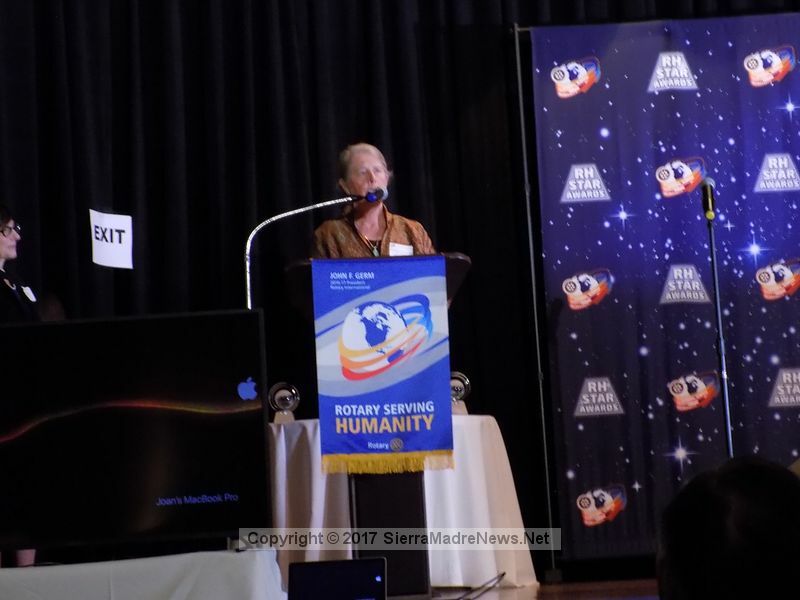 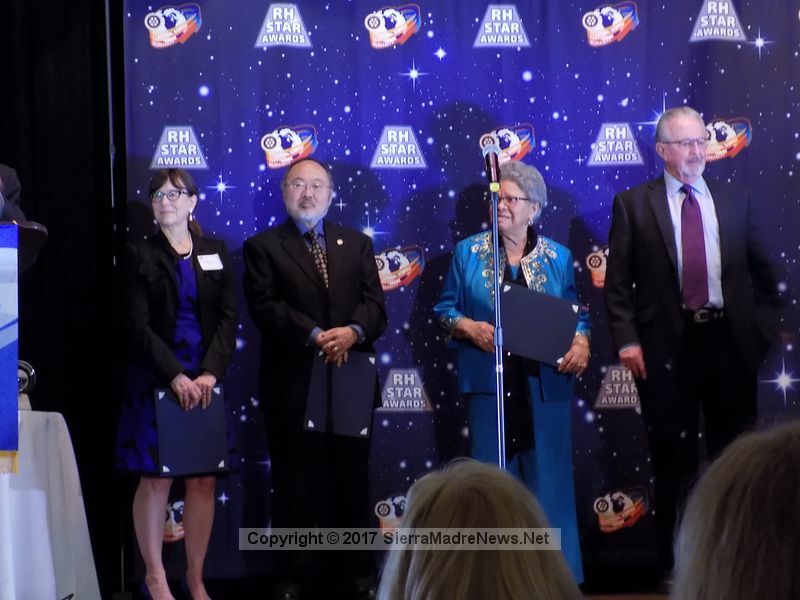 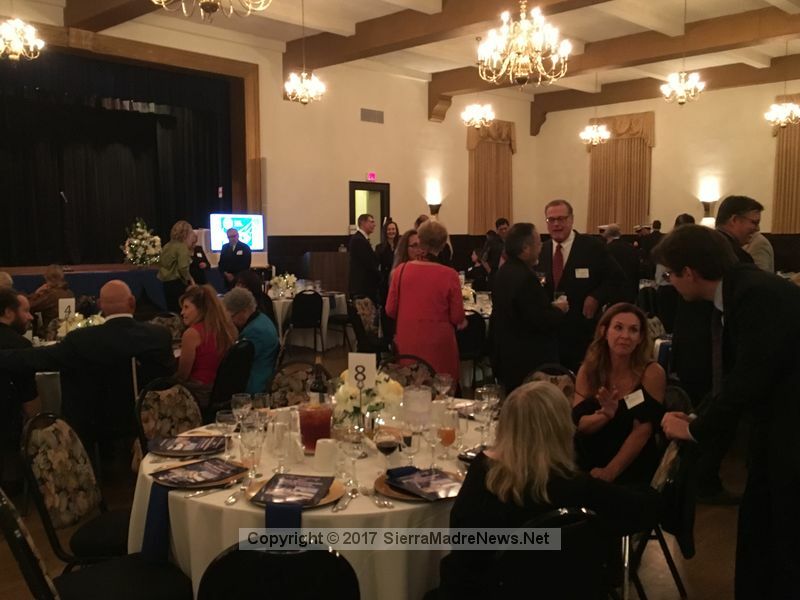 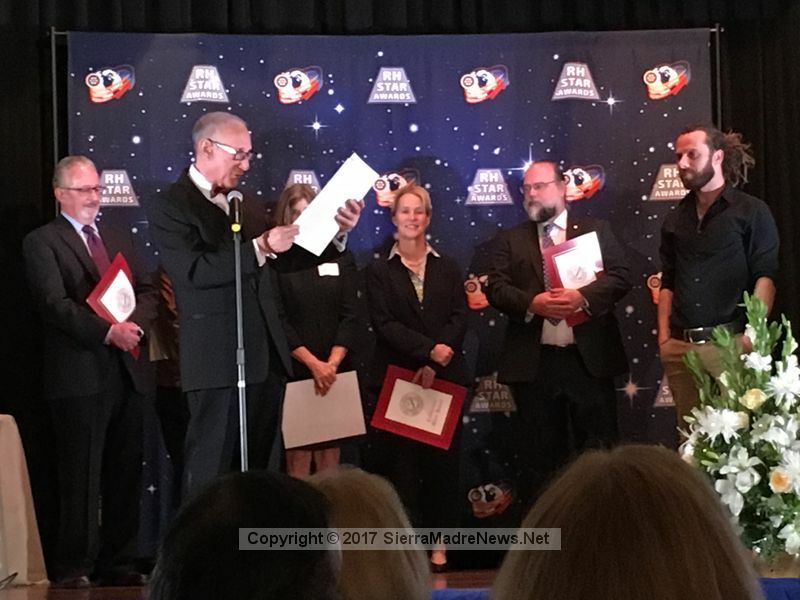 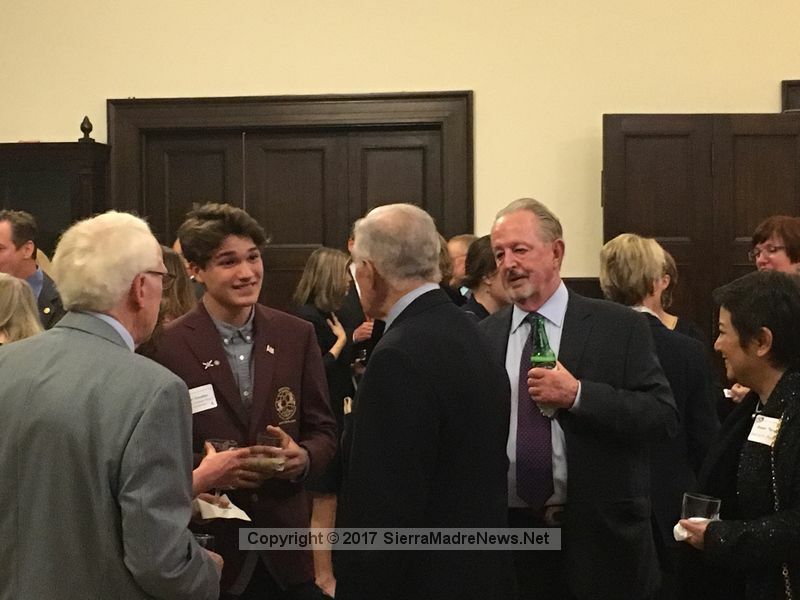 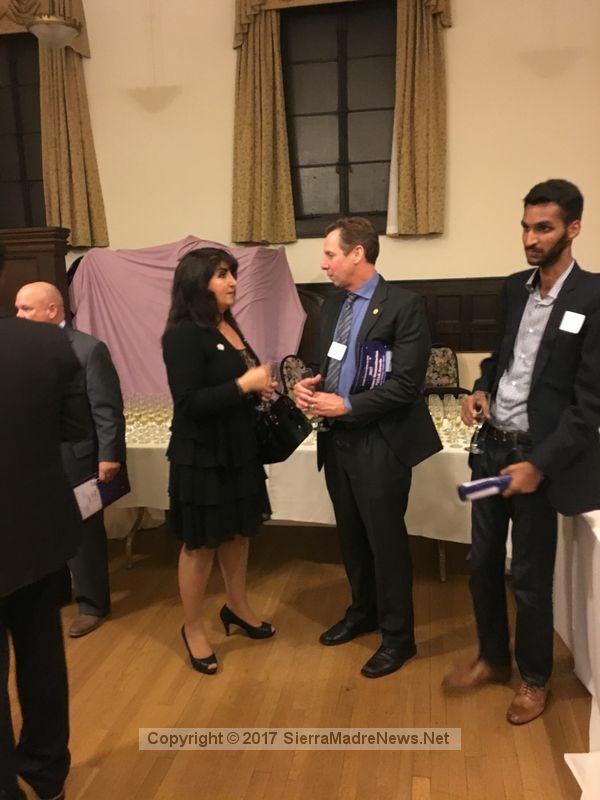 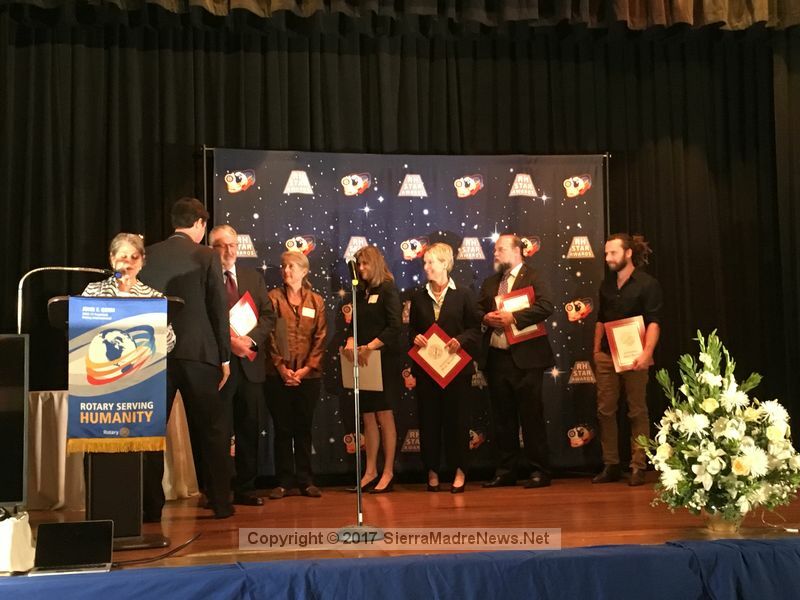 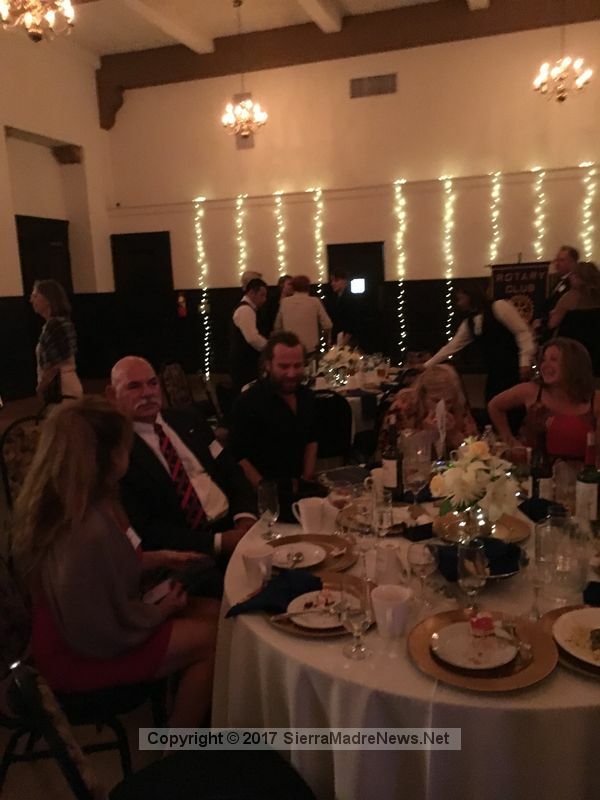 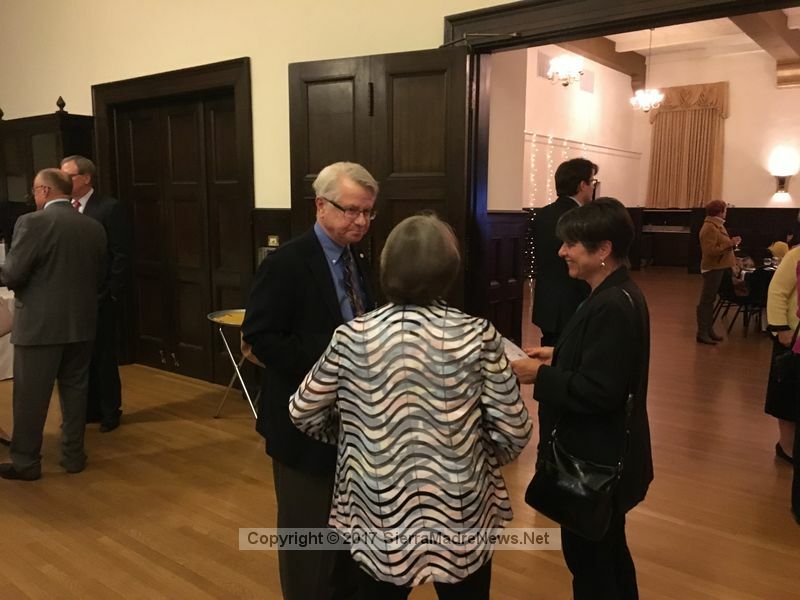 Posted 11/5/17 (photo gallery below) – The Sierra Madre Rotary Club hosted its 2nd Annual Rotary Humanitarian STAR Awards Banquet on Saturday, with more than 130 scientists and friends honoring outstanding humanitarian achievements in science and technology, while enjoying live entertainment, cocktails and dinner at the Pasadena Masonic Temple. 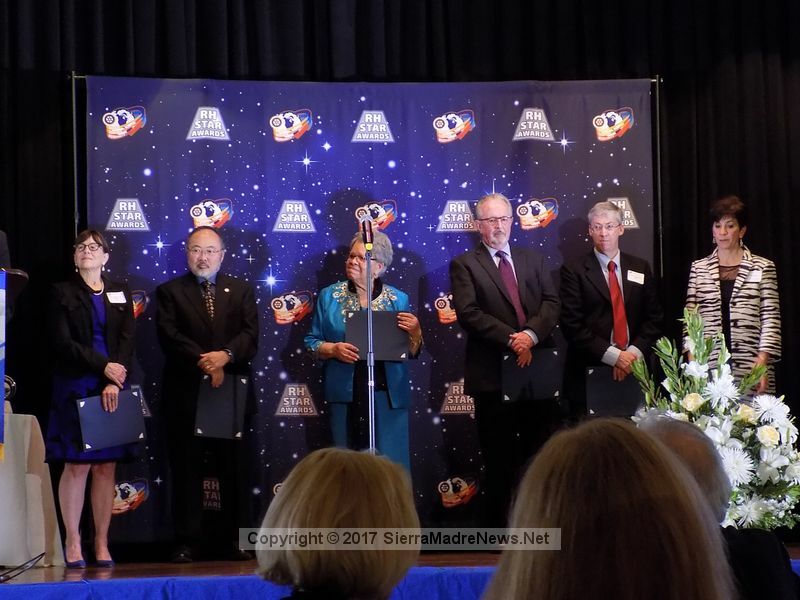 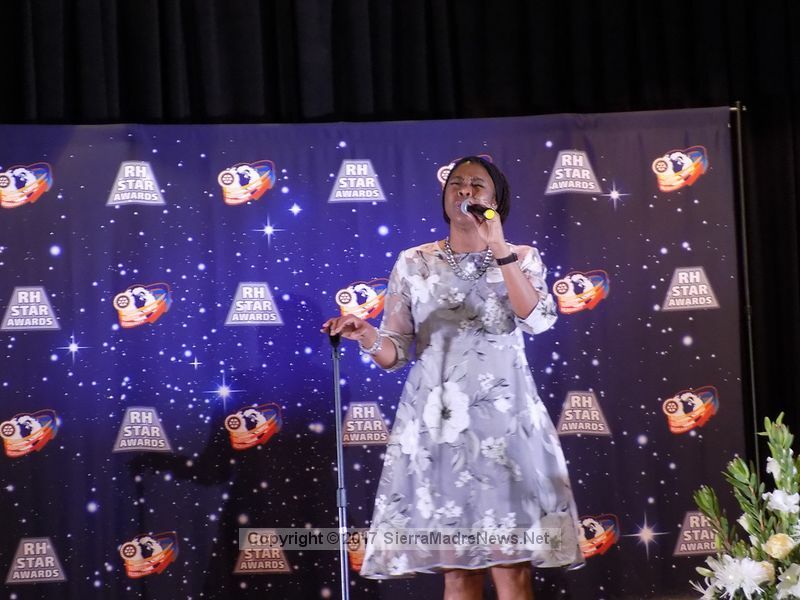 The goal of the STAR (Science, Technology, Aerospace and Robotics) awards is to recognize, celebrate and raise awareness of scientific achievements that significantly improve lives and positively impact humanity. 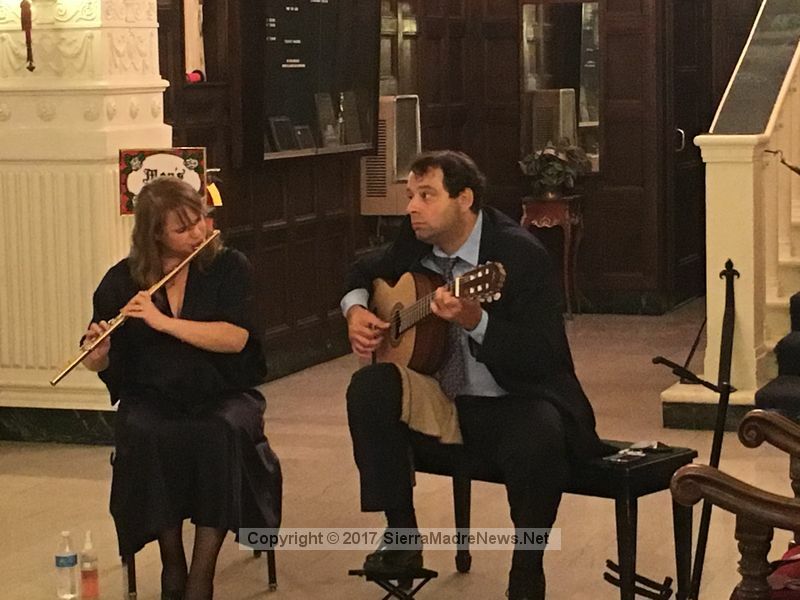 The evening began with a cocktail reception featuring music by Almer Imamovic and Dr. Jessica Pierce. 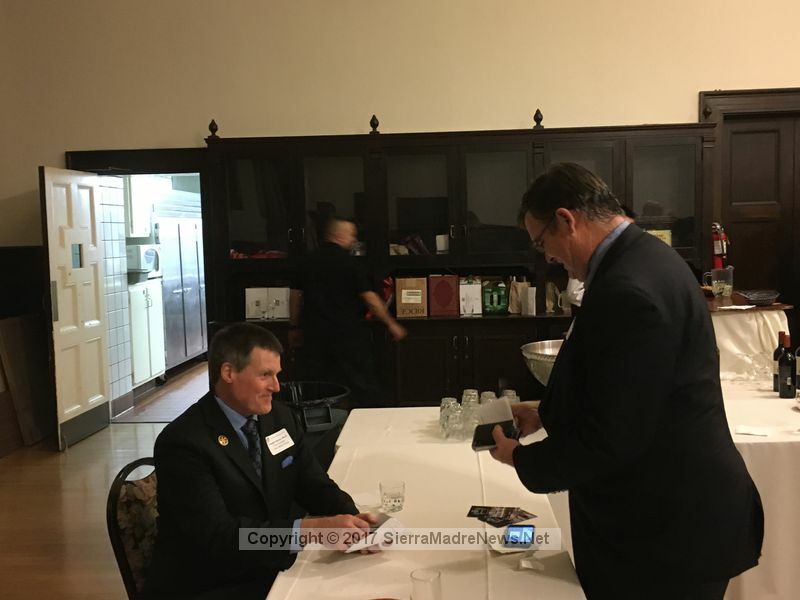 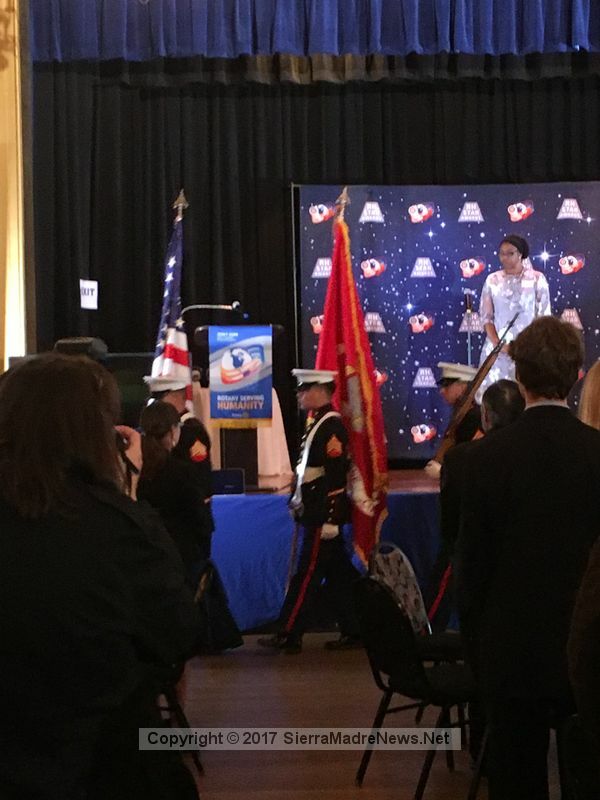 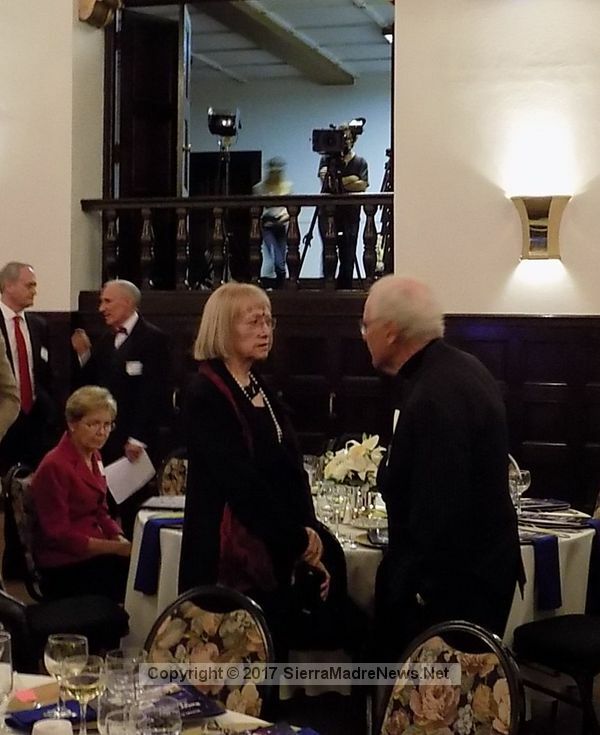 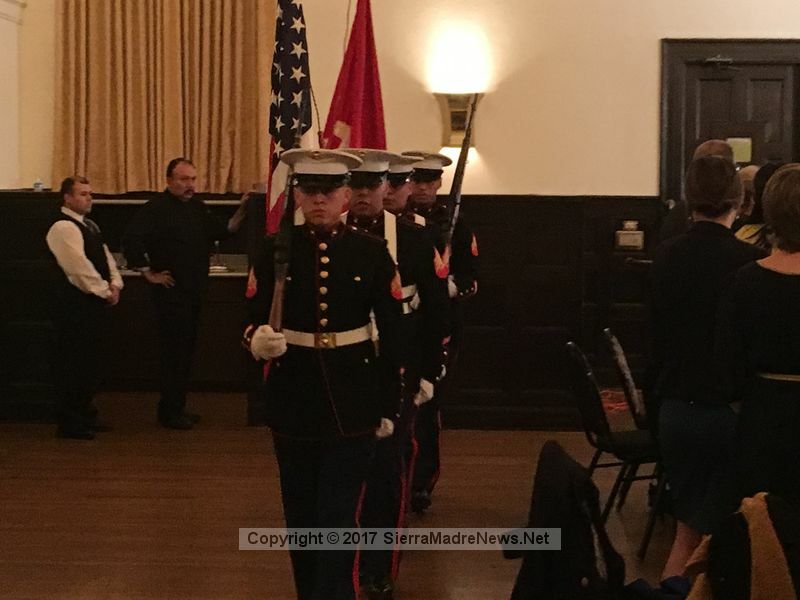 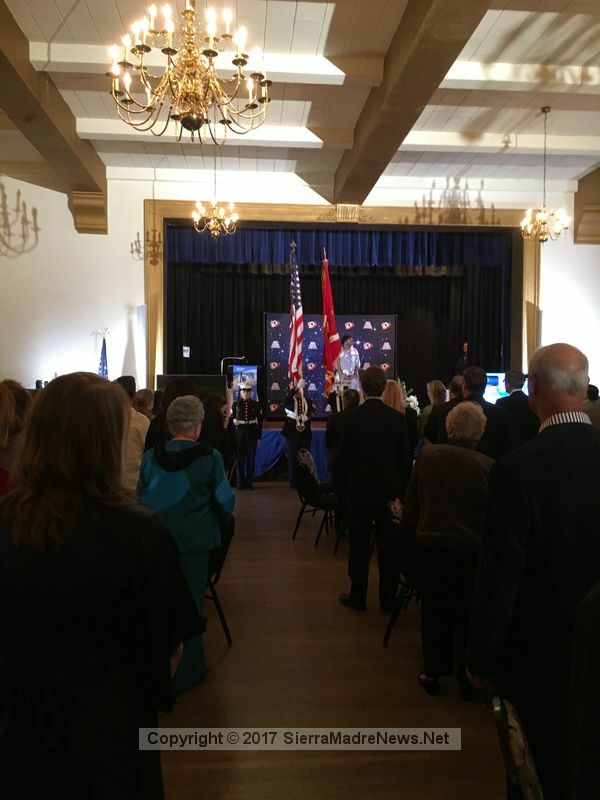 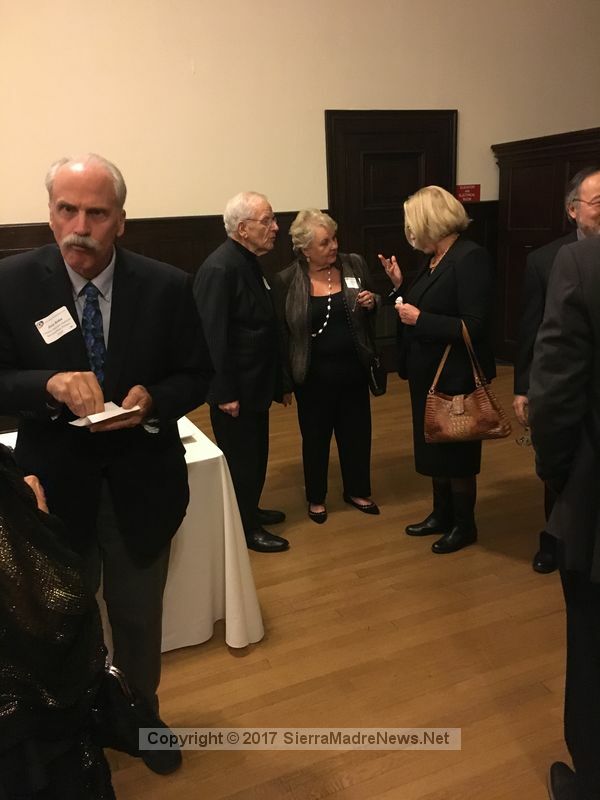 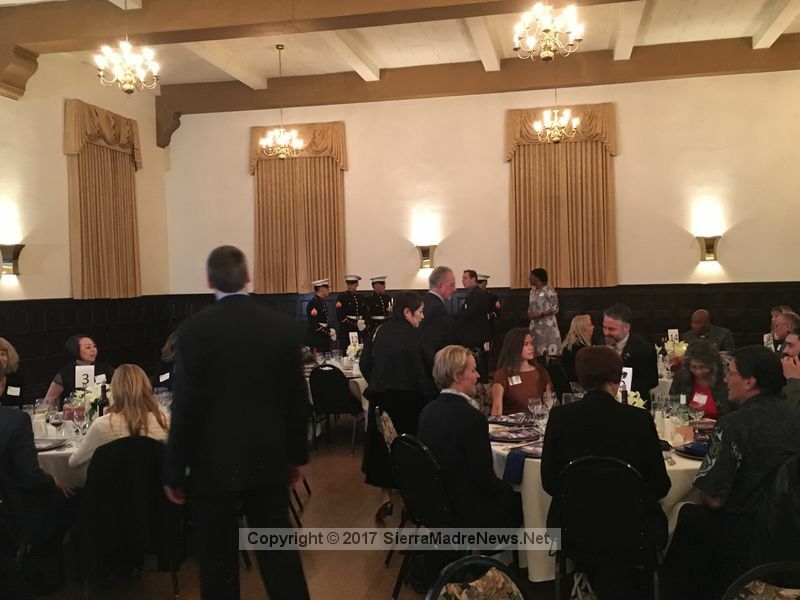 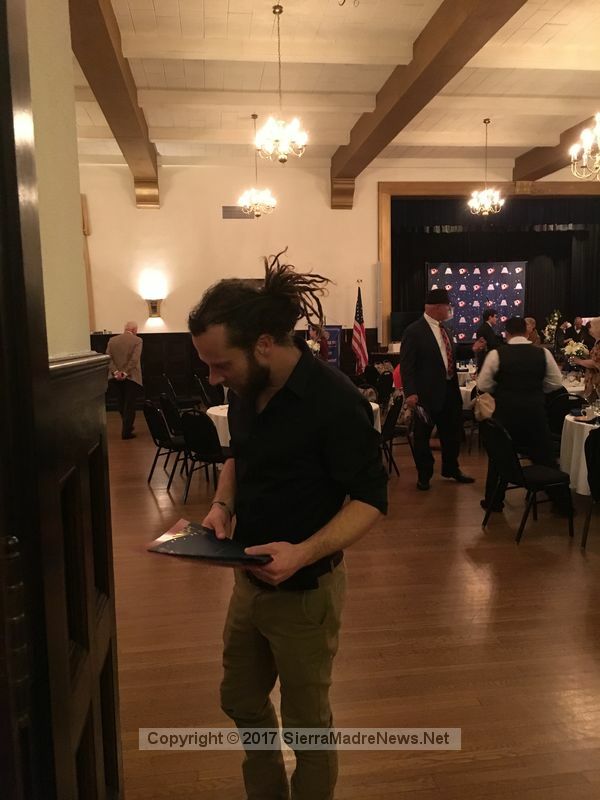 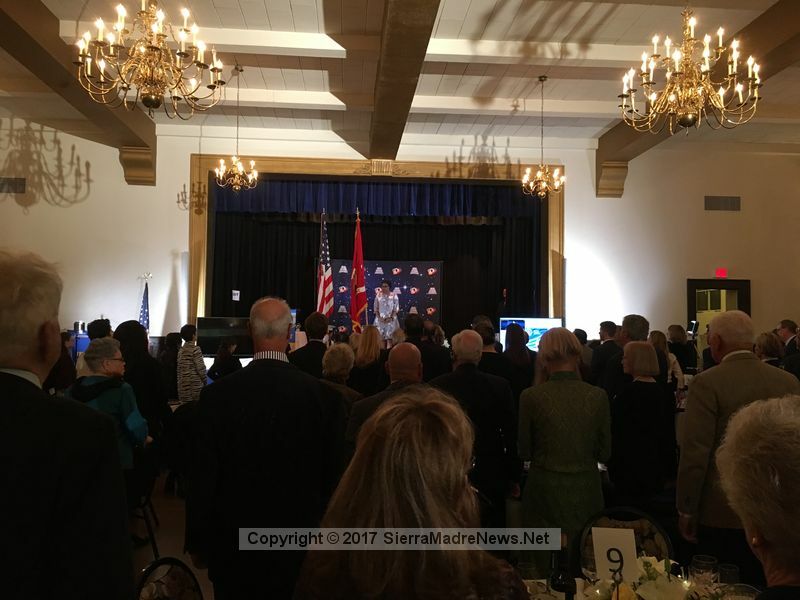 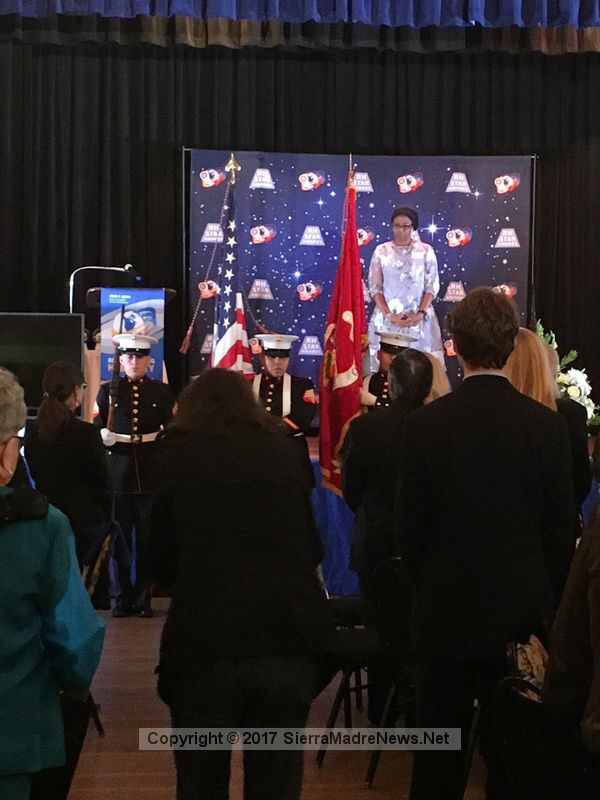 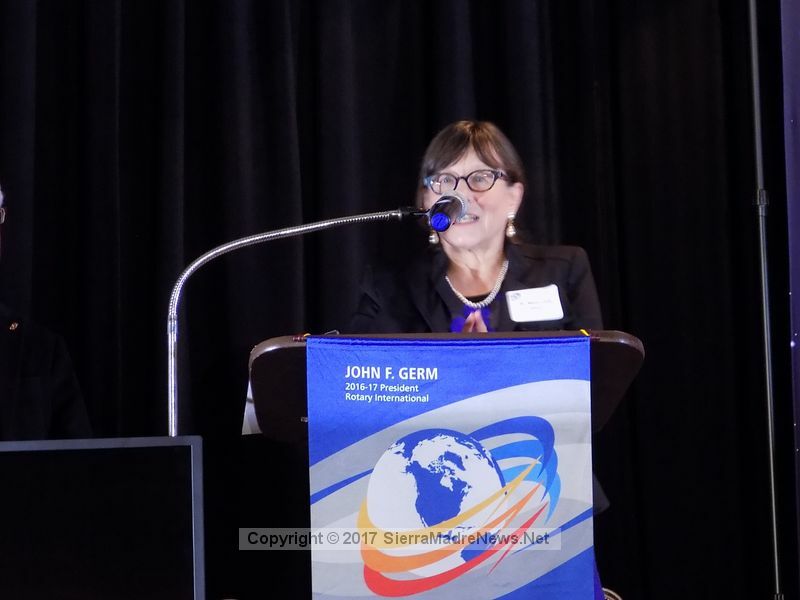 The guests were welcomed by Joan Riback, and following presentation of the colors by the 2nd Battalion 23rd Marines of Pasadena, the National Anthem was sung by Valerie Geason, and a few words of inspiration were offered by Rotarian Douglas Kerns, Ph.D. 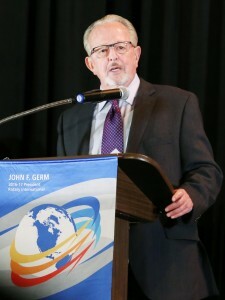 Following dinner, immediate past president Alan Unell, Ph.D. gave a brief overview of the awards, including introduction of the distinguished Advisory Board, consisting of David A. Bearden, Ph.D. of the Aerospace Corporation; Joel W. Burdick Ph.D., JPL Research Scientist; Marie Csete M.D., Ph.D., Huntington Medical Research Institutes; The Honorable Lance A. Ito, (Ret) Judge Superior Court of the State of California, in and for the County of Los Angeles; William Patzert, Ph.D., Scientist at CalTech’s NASA Jet Propulsion Laboratory; John F. Raffensperger, Ph.D., of Pardee RAND Graduate School, Philip R. Troyk, Ph.D., of the Armour College of Engineering, and Sylvia Whitlock Ph.D., District Governor, (2012-2013) Rotary International District 5300. 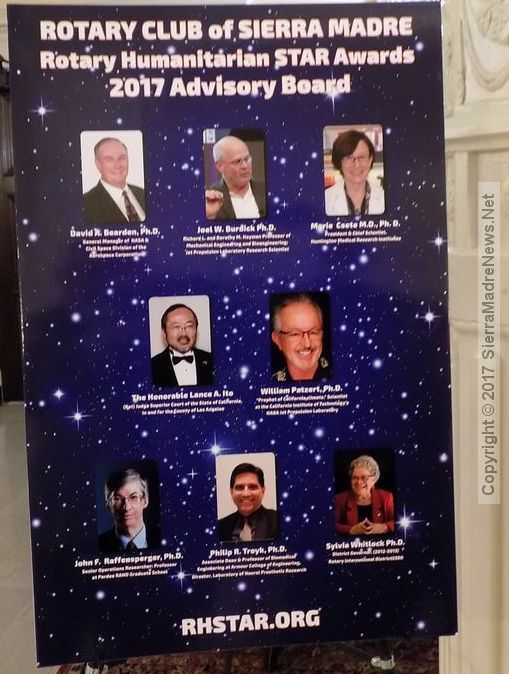 To learn more about the advisors, visit the website, www.RHStar.org. 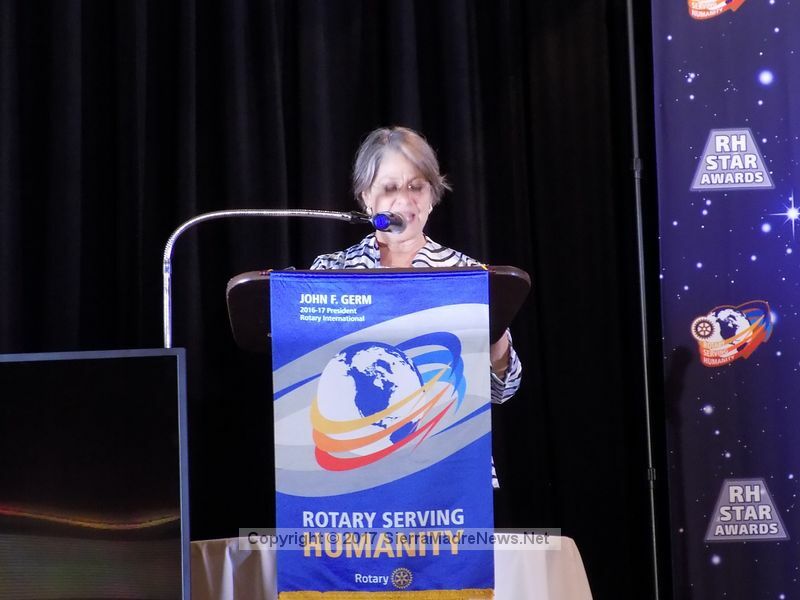 Executive Governor of Rotary District 5300 Marilyn Diaz gave some background about Rotary, and its mission of serving humanity. 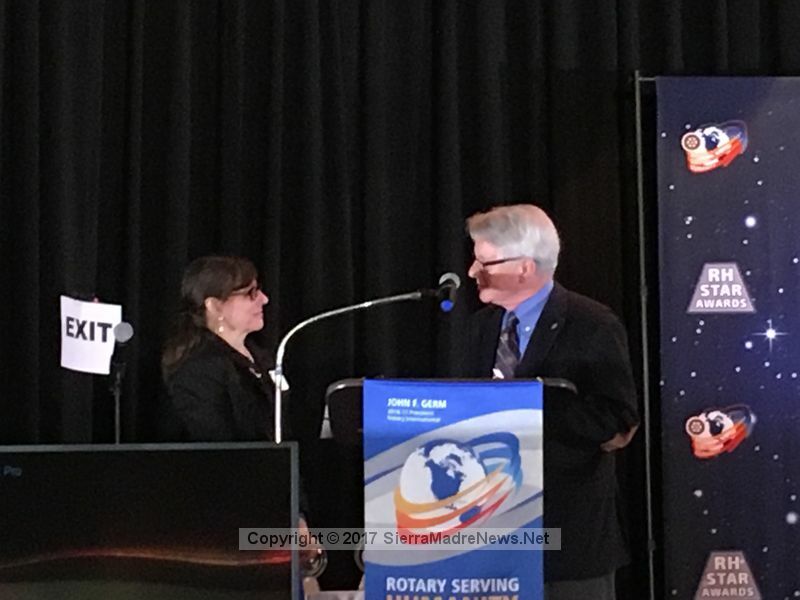 Emcees Dave Ruprecht and Marie Csete, M.D., Ph.D. then got down to the business of the evening, presenting the awards. 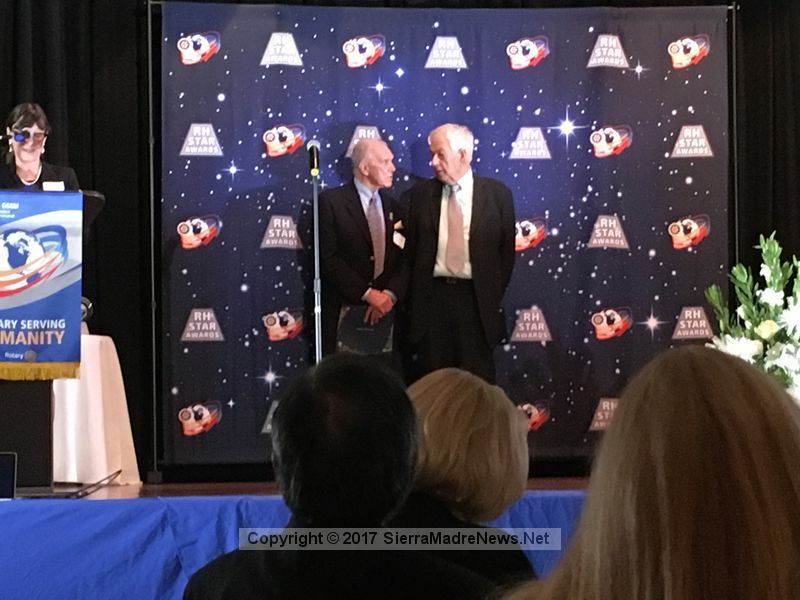 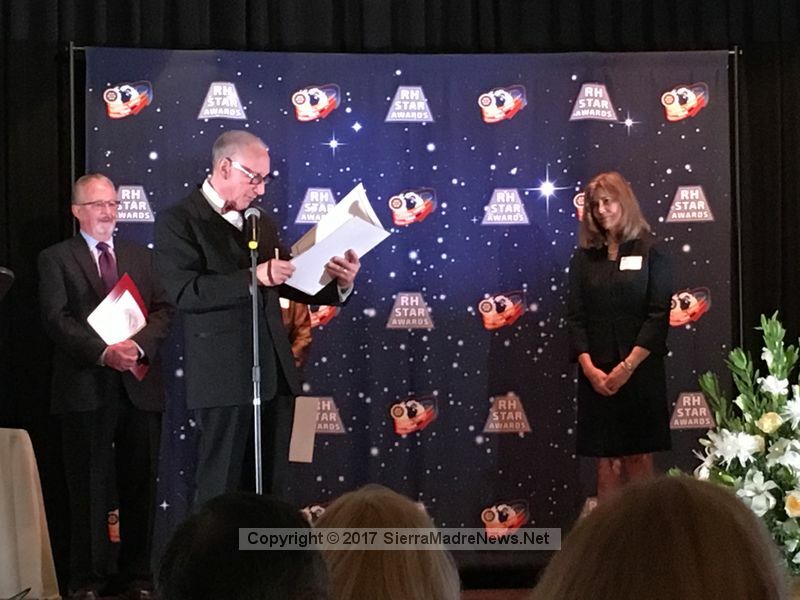 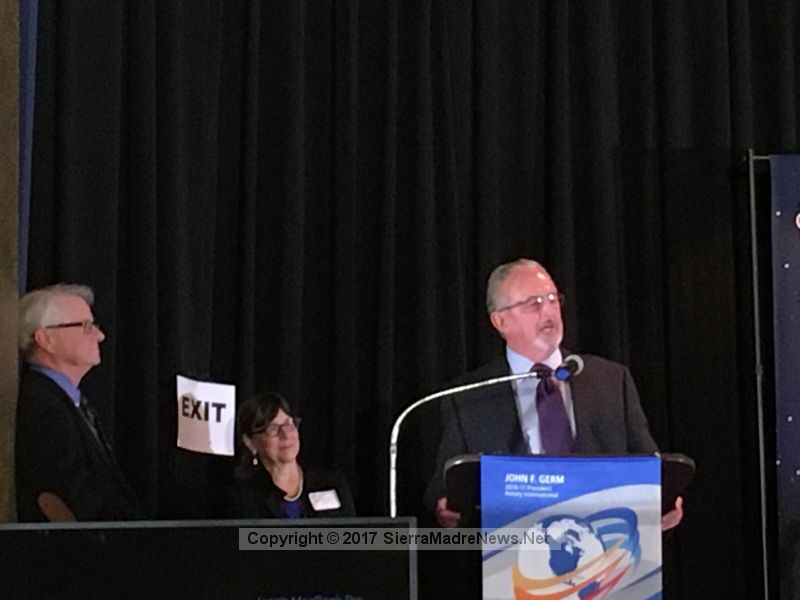 The first award of the evening went to Sierra Madre resident and JPL Climatologist William Patzert, Ph.D., who was presented with the Lifetime Achievement Award. 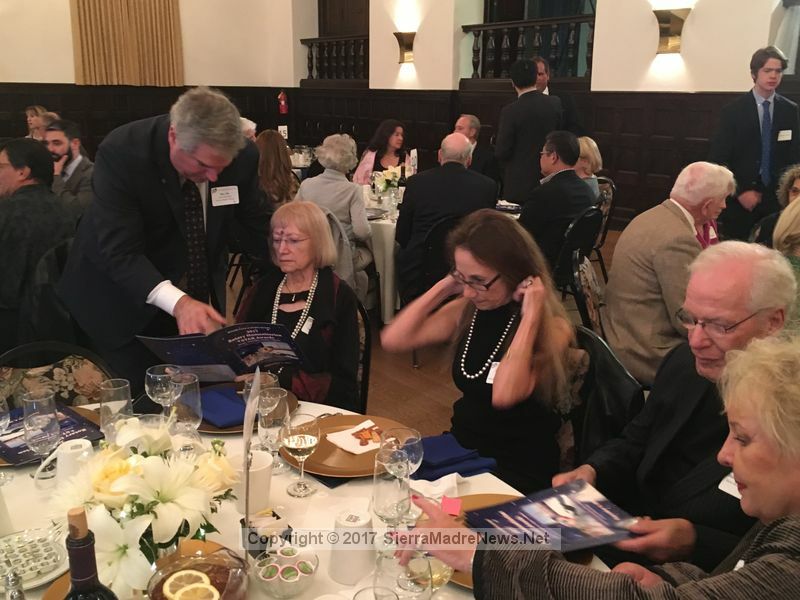 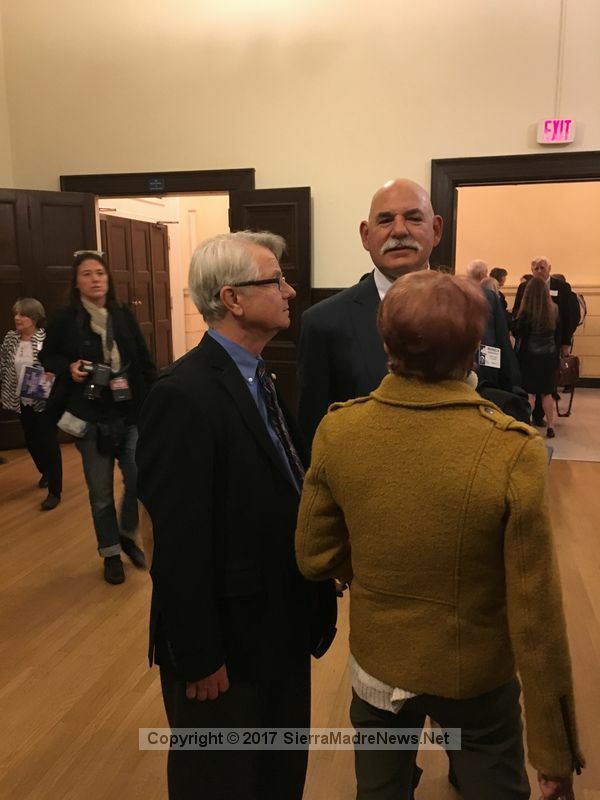 Dr. Patzert began his career at the Scripps Institution of Oceanography before moving onto NASA and revolutionizing oceanographic and climate science. 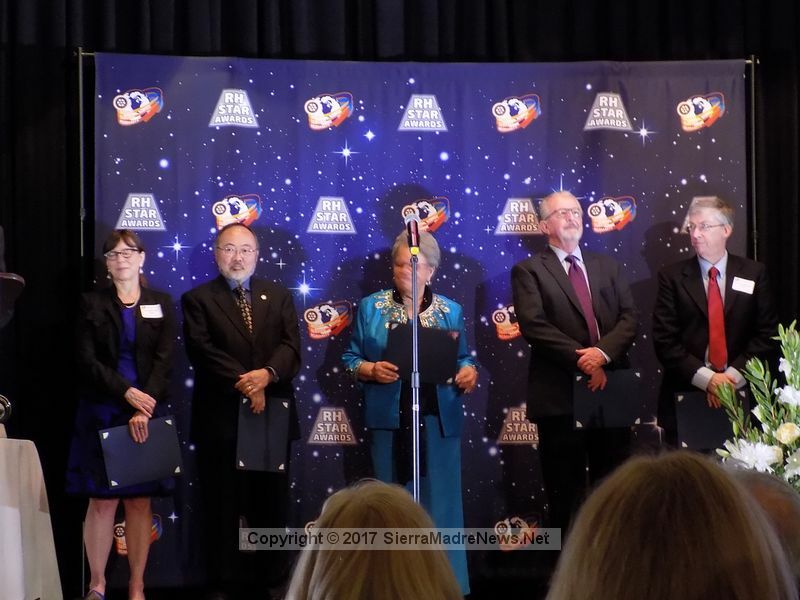 Dr. Patzert has worked with JPL for 35 years. 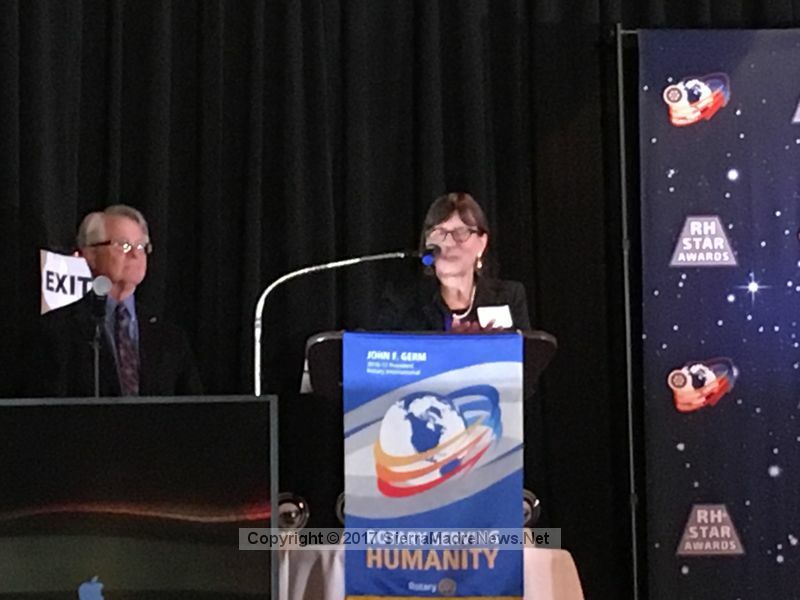 In accepting the award, Dr. Patzert noted that we are living in a time where science is under attack, adding that climate change is scientific fact, not fake news. 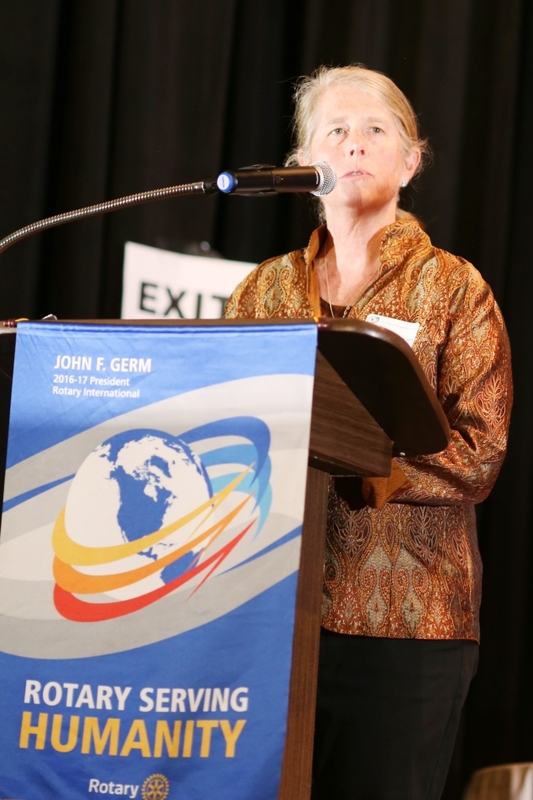 In the Health and Medical category, nominees had helped children and families by eliminating cleft lips and palates and scarring, engineered nanoparticles for human cancer therapeutics, developed a method to measure oxygen in blood which changed the way anesthesia and critical care are administered, integrated functional genomic, epigenetic and genetic data to help understand how genomes are involved with various diseases and disorders, developed a wireless remote temperature monitoring solution for vaccine refrigerators in rural areas, and discovered a pacing method that enables diagnosis and termination of arrhythmia. 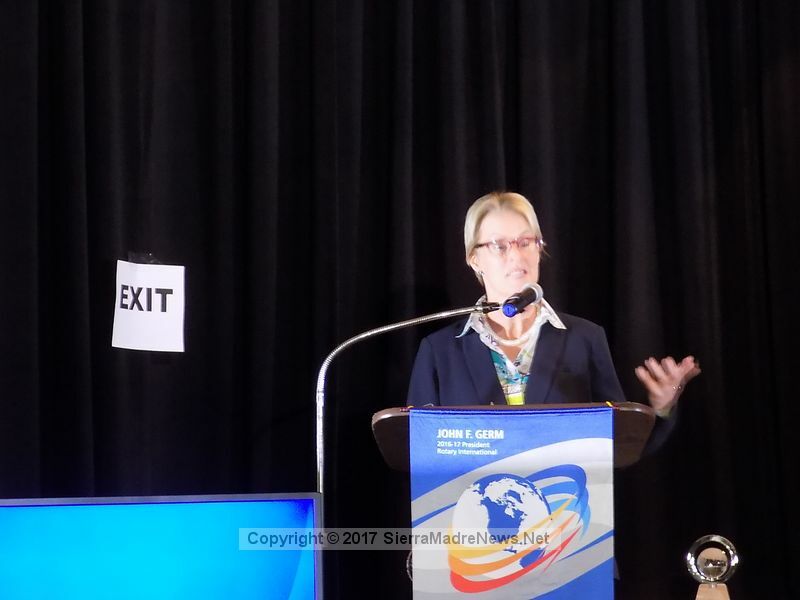 The winner in the category, Kimberly Shriner, M.D., F.A.C.P., of Huntington Hospital created a global outreach project that brings Pasadena medical teams to Tanzania where they save lives by educating the people through lectures, workshops and clinics to sustainably relieve diseases such as HIV, parasites and more. 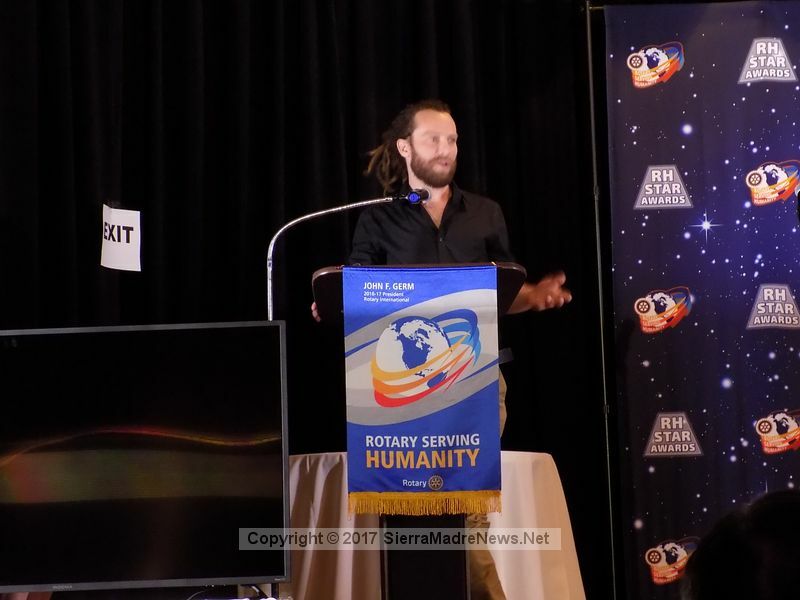 “ I think that the Rotary Club, their merging of innovation and humanity and engineering and technology is just what we need at this time in the world…” said Dr. Shriner. 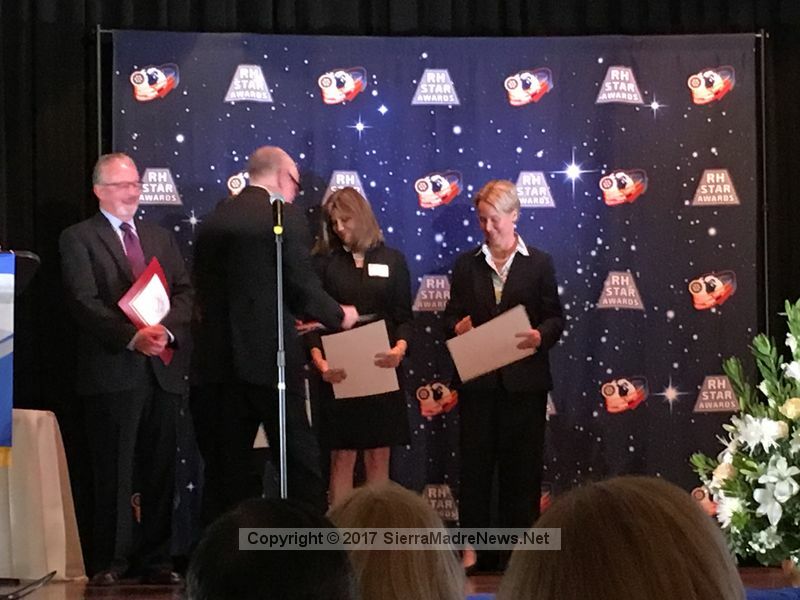 The Knowledge Sharing category included people or organizations that coordinated the growth of 50 early stage companies working to translate scientific ideas into products for the improvement of health, quality of life and the environment, communicated the power of NASA’s exploration story, did a preliminary design of a human Mars lander, encouraged and influenced students in elementary school through high school to pursue an interest in STEM through use of robotics, and worked with a Fijian community to develop a clean water infrastructure. 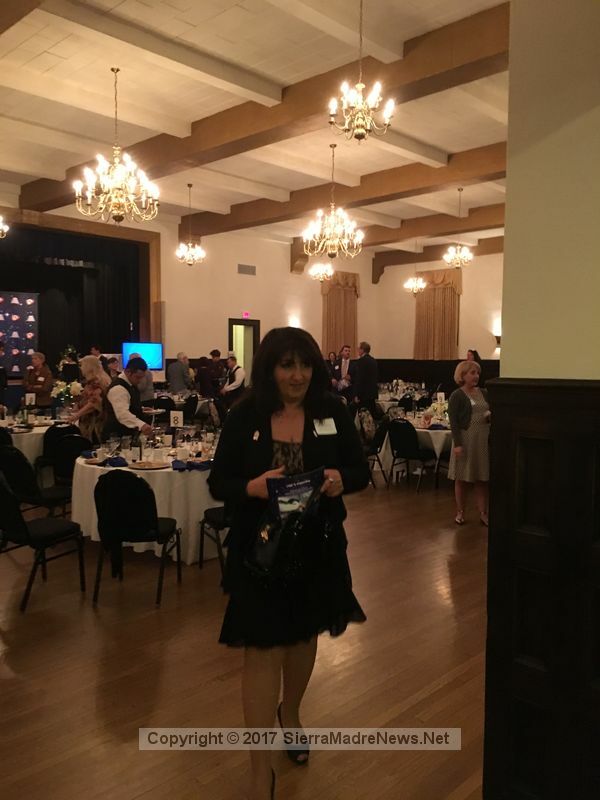 The winner in this category, Denise McCain-Tharnstrom, Ph.D., worked with a team of volunteers to develop the What I Need (WIN) app, which is a resource directory for homeless and vulnerable youth. 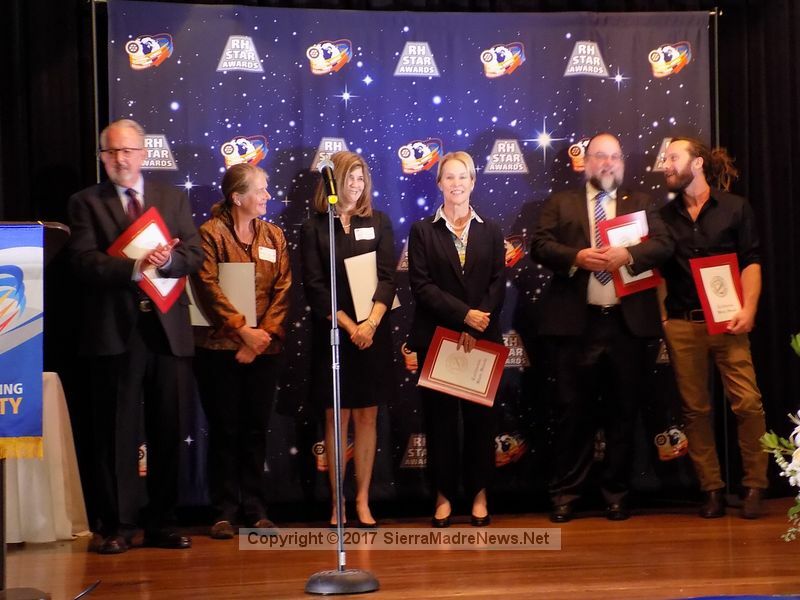 Nominees in the Environmental Improvement category interpreted satellite data to further our understanding of climate and environmental problems and developed a solar-powered bio-machine designed to remove CO2 from the air and convert it to fuel or other products, closing the carbon cycle. 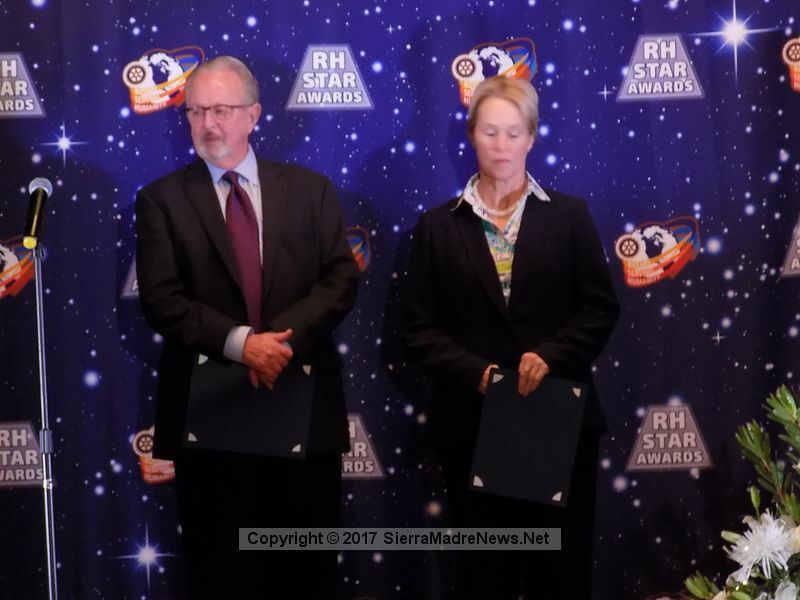 The winner of Environmental Improvement, Frances Arnold, Ph.D, breeds molecules as part of a process to transform biomass into fuels and chemicals, with the potential of relieving our dependency on fossil fuels. 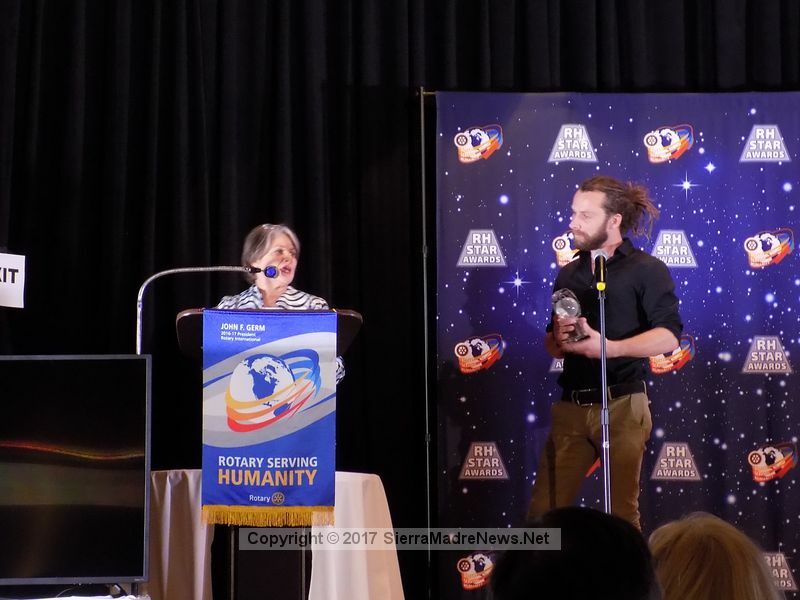 Nominees in Disaster Relief and Recovery invented solar powered inflatable light for distribution in disaster and undeveloped areas, and directed efforts to protect NASA’s manufacturing hub for future space exploration initiatives. 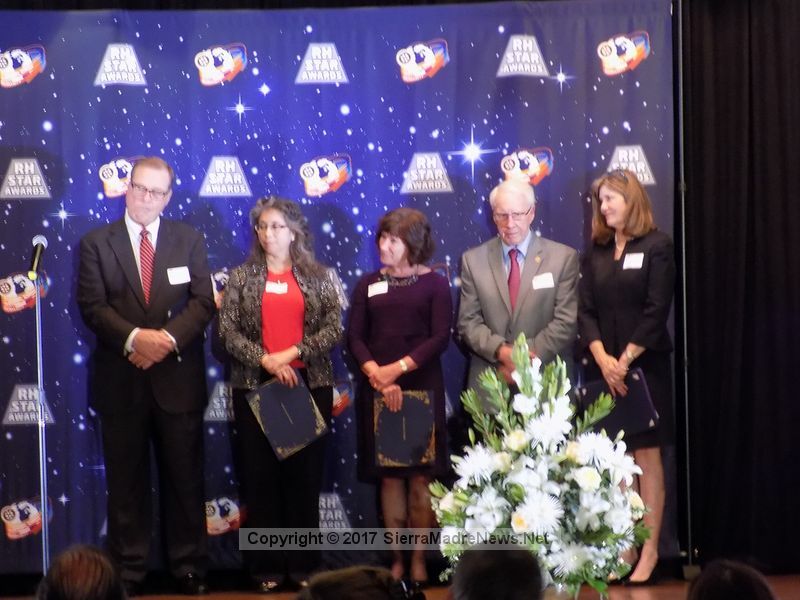 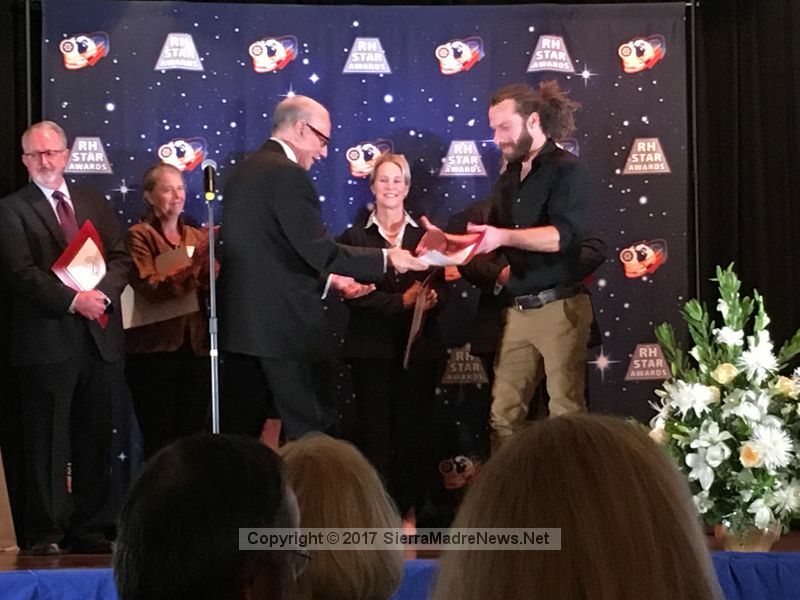 This category had two awardees, Jim Lux, telecommunications specialist at JPL who developed a portable device using radar technology to find victims trapped beneath rubble. 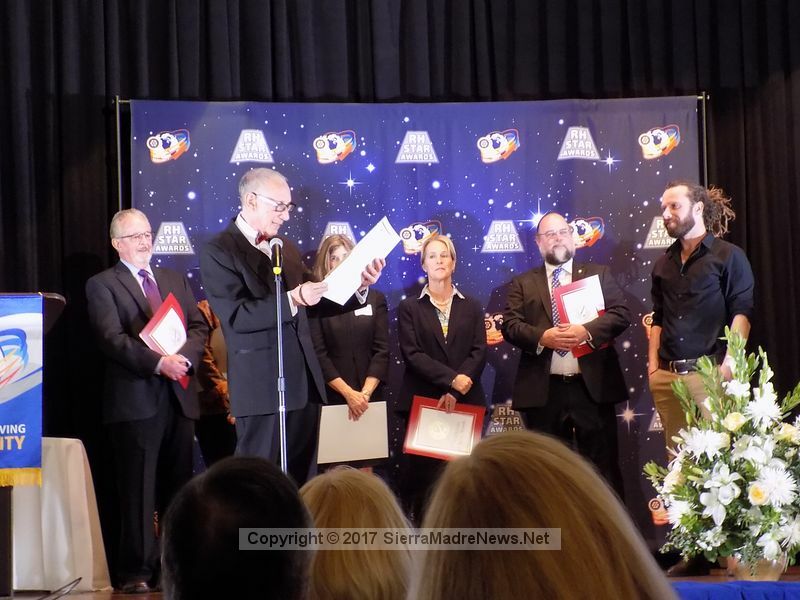 “How often do you get to work on technology that directly saves lives…it’s just, there’s nothing cooler,” said Lux, noting that this project was the most personally gratifying project in his two decades at JPL. 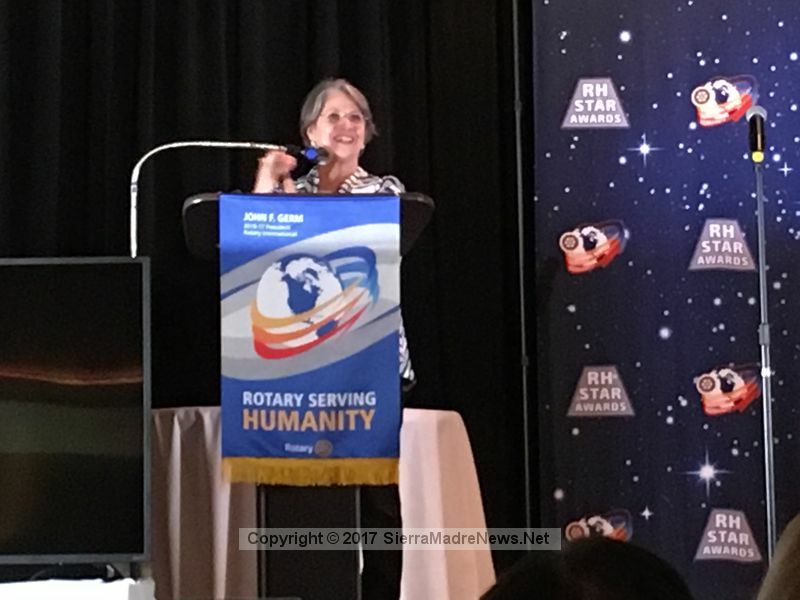 Also receiving the STAR award in this category was Sam Bloch, founder of Communitere International, which is pioneering an innovative approach to humanitarian aid, working with the people in the affected area as stakeholders, not beneficiaries, and changing the scope of disaster response and community development. 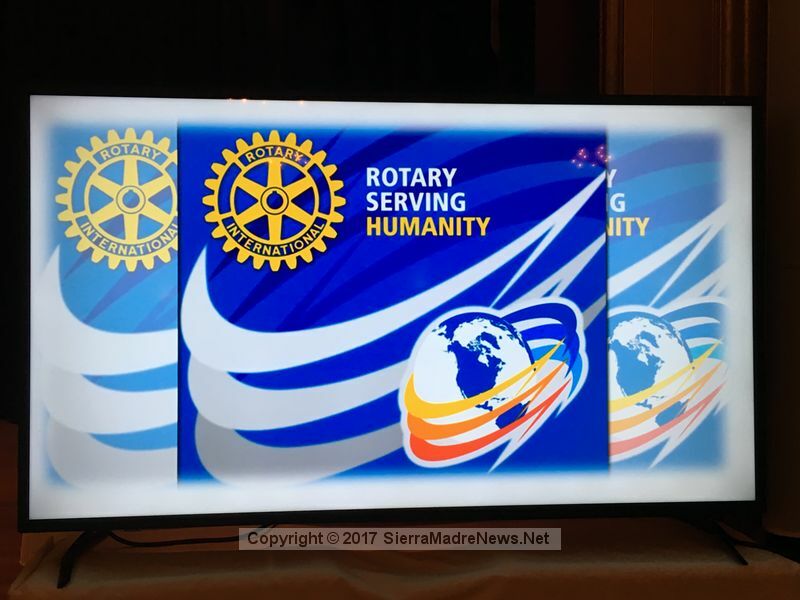 Sierra Madre Rotary has agreed to support Bloch’s company’s efforts as they assist the people of Puerto Rico in rebuilding after the recent hurricane. 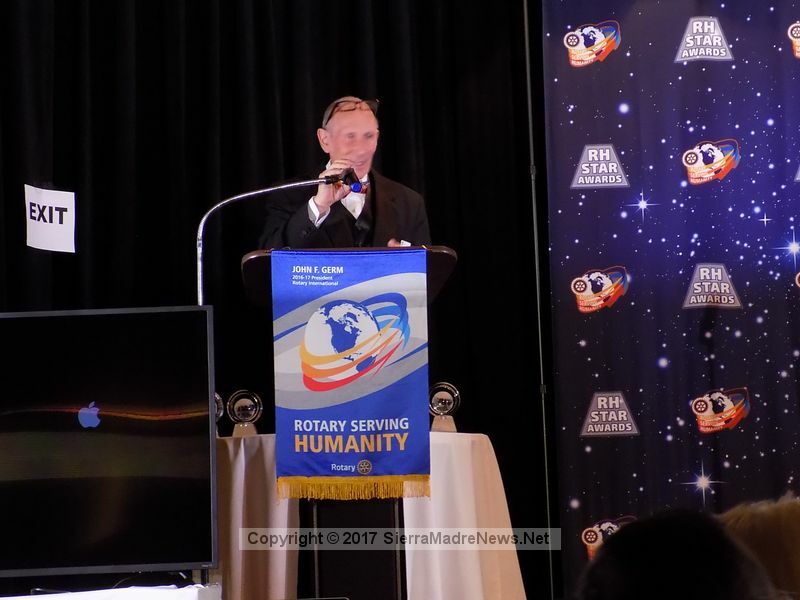 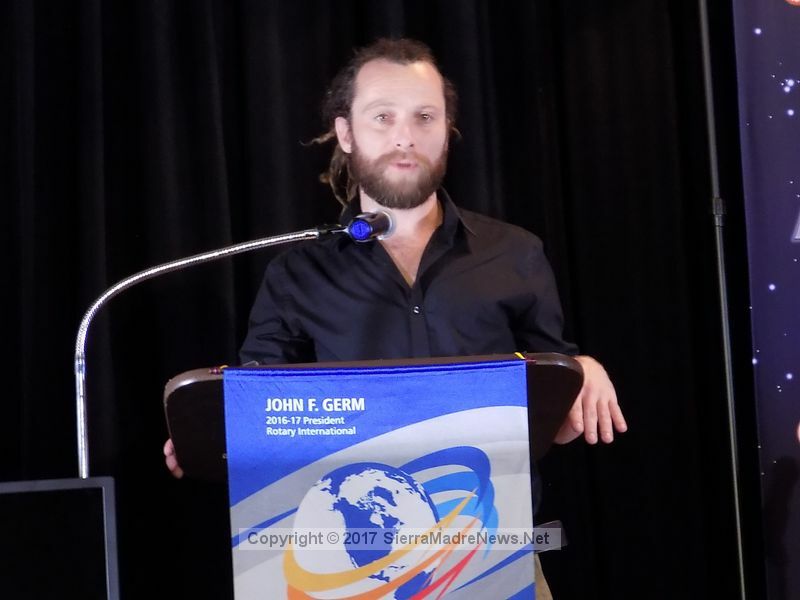 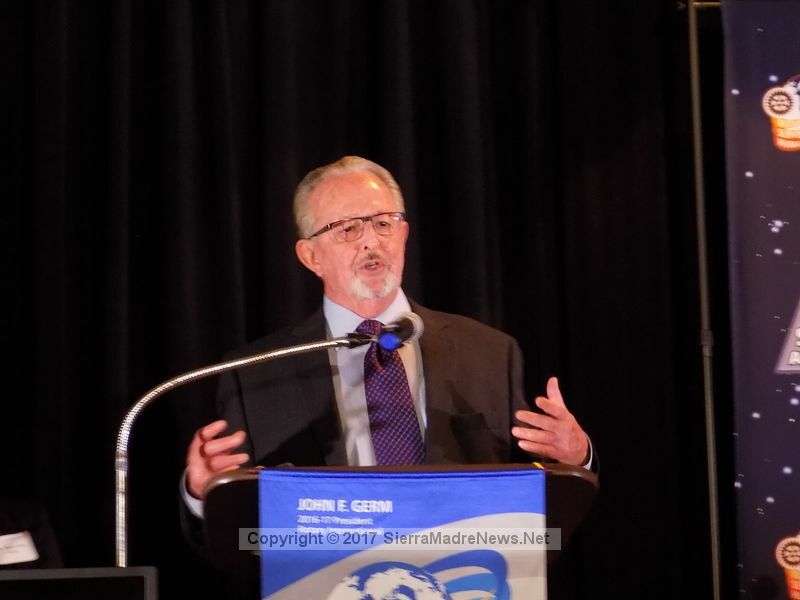 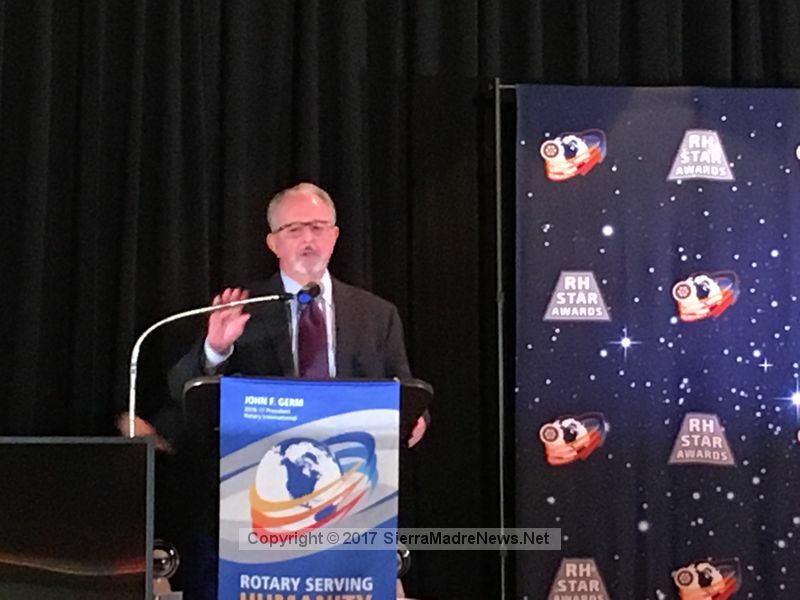 Added Dr. Michael Budincich, current president of the Sierra Madre Rotary Club “I am proud of what our RH STAR committee, and our small Rotary Club collectively, was able to accomplish, with so few active members and limited resources. 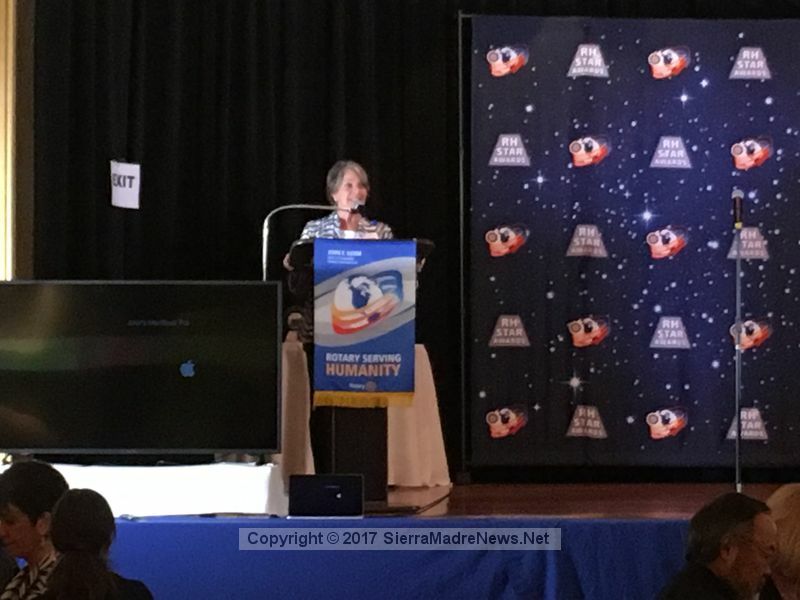 We call ourselves ‘small but mighty’. 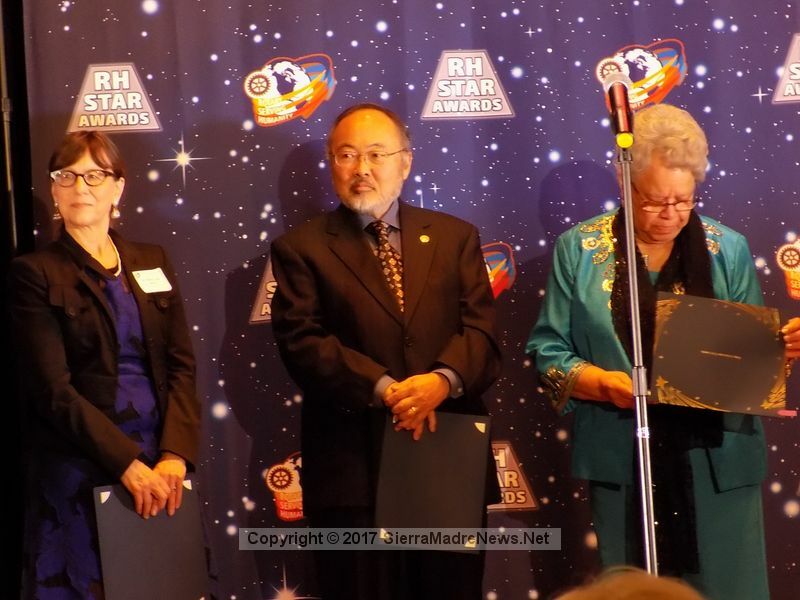 For a complete list of the nominees and information on the projects for which they were nominated, go to www.RHStar.org. 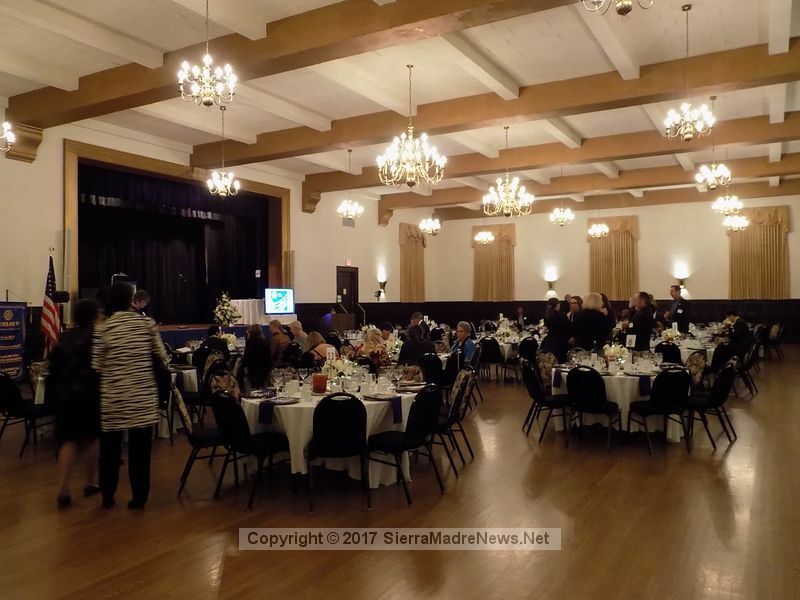 You will also soon be able to view video of the banquet, as well as purchase tickets to next year’s event, at the website.